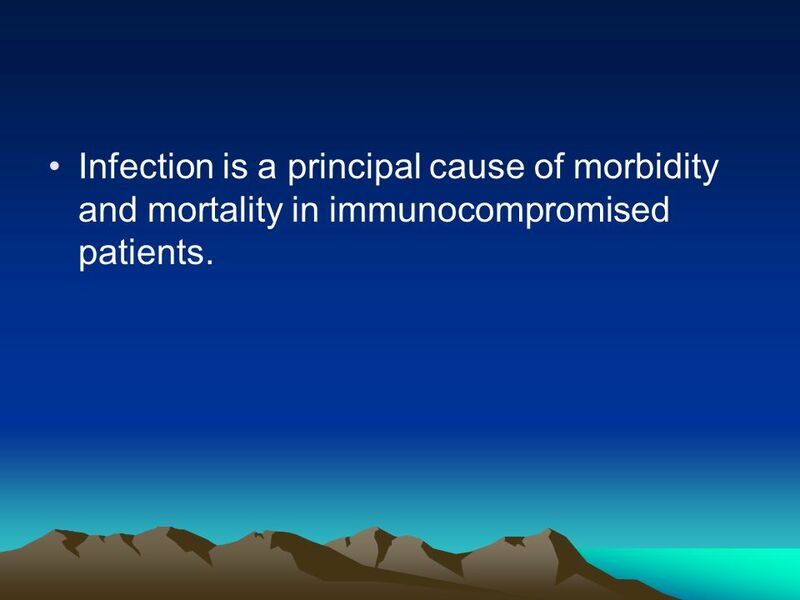 2 Infection is a principal cause of morbidity and mortality in immunocompromised patients. 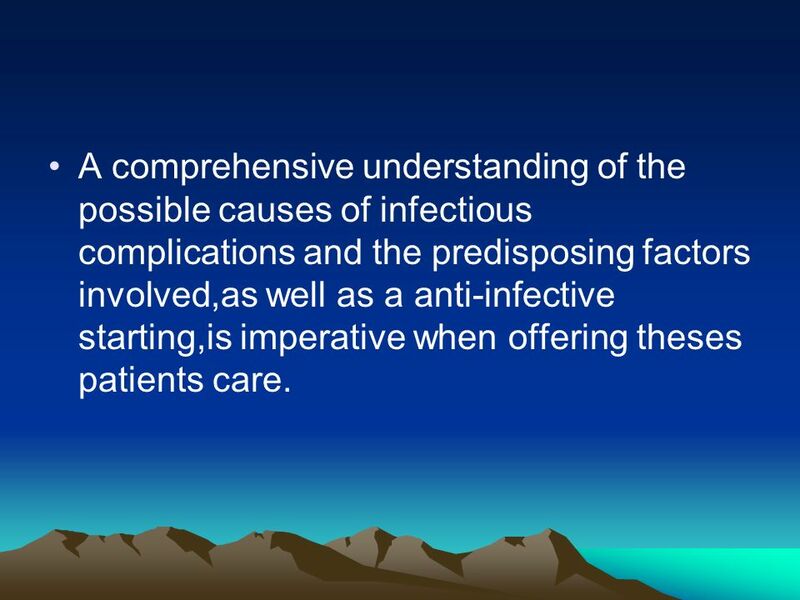 3 A comprehensive understanding of the possible causes of infectious complications and the predisposing factors involved,as well as a anti-infective starting,is imperative when offering theses patients care. 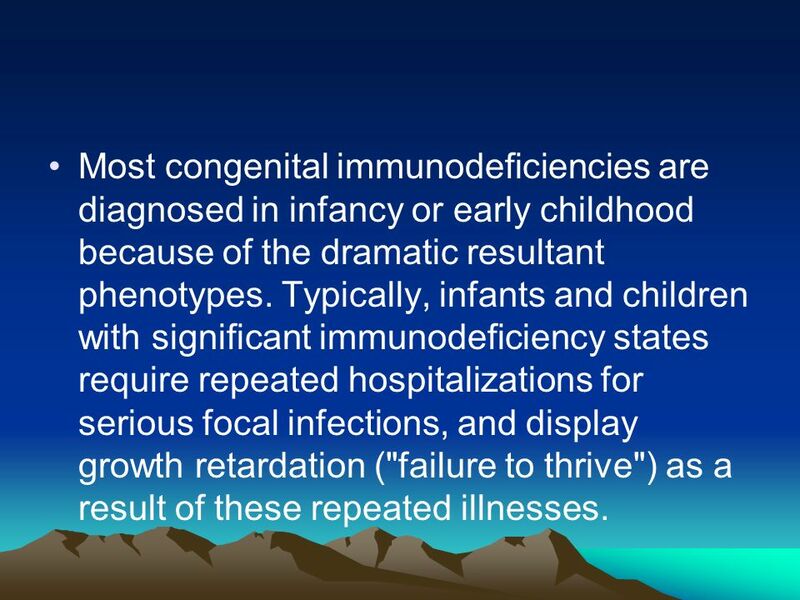 Most congenital immunodeficiency states are rare. Even in a consultative practice, most patients referred for evaluation have no demonstrable host defense defect responsible for recurrent infections. 5 Most congenital immunodeficiencies are diagnosed in infancy or early childhood because of the dramatic resultant phenotypes. Typically, infants and children with significant immunodeficiency states require repeated hospitalizations for serious focal infections, and display growth retardation ("failure to thrive") as a result of these repeated illnesses. 6 In adults, acquired conditions (which are relatively straightforward to diagnose) are a much more common cause of recurrent infections than the rare congenital immunodeficiency which manifests in adulthood because of a milder phenotype. 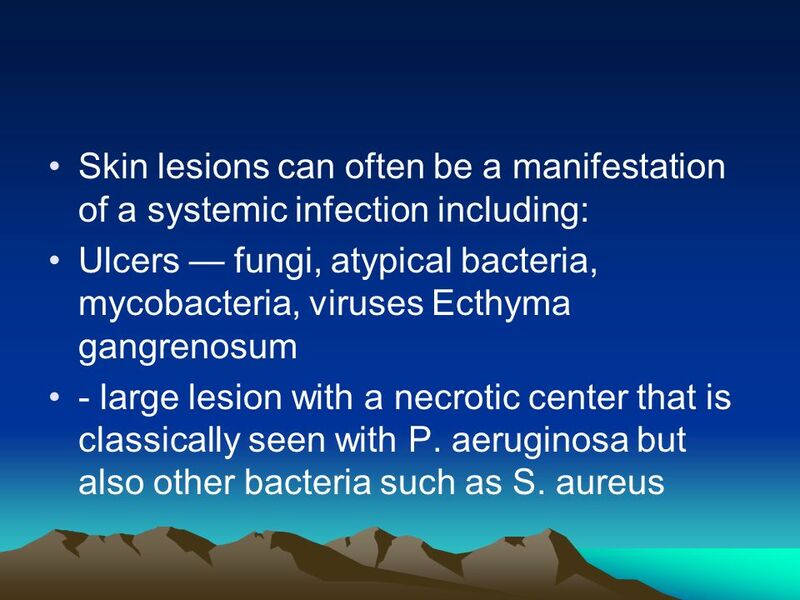 Anatomic lesions, whether congenital or acquired, are often responsible for recurrent infections. 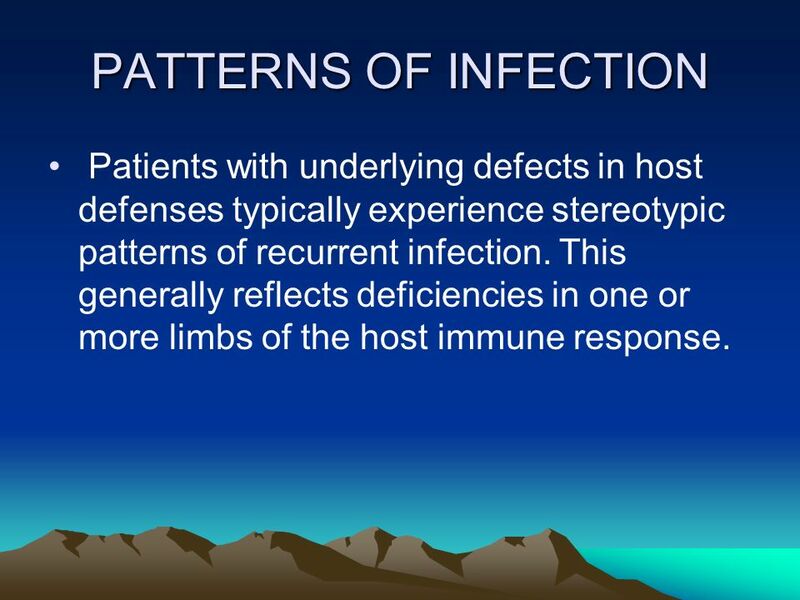 7 PATTERNS OF INFECTION Patients with underlying defects in host defenses typically experience stereotypic patterns of recurrent infection. This generally reflects deficiencies in one or more limbs of the host immune response. 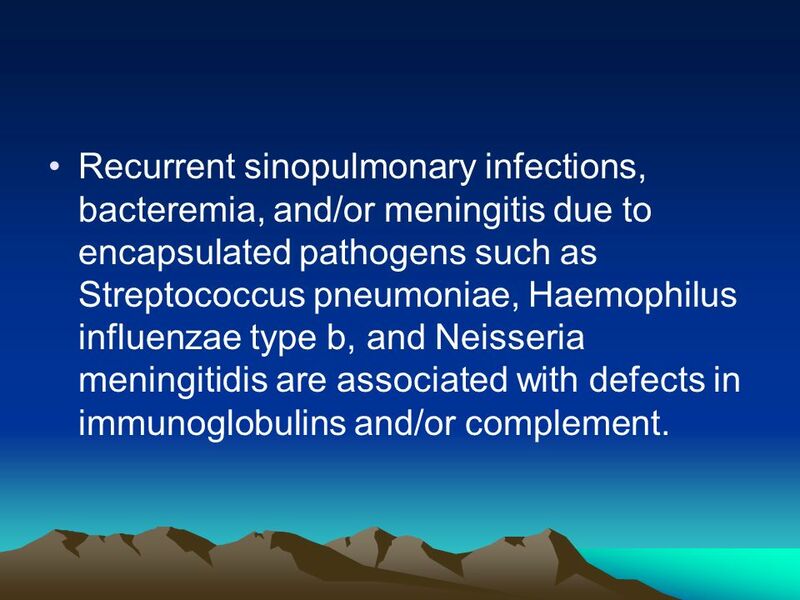 8 Recurrent sinopulmonary infections, bacteremia, and/or meningitis due to encapsulated pathogens such as Streptococcus pneumoniae, Haemophilus influenzae type b, and Neisseria meningitidis are associated with defects in immunoglobulins and/or complement. 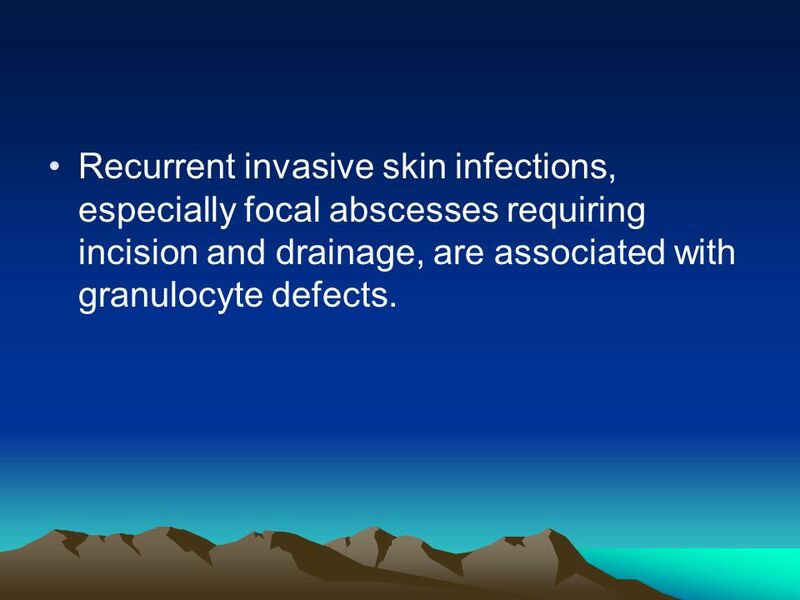 9 Recurrent invasive skin infections, especially focal abscesses requiring incision and drainage, are associated with granulocyte defects. 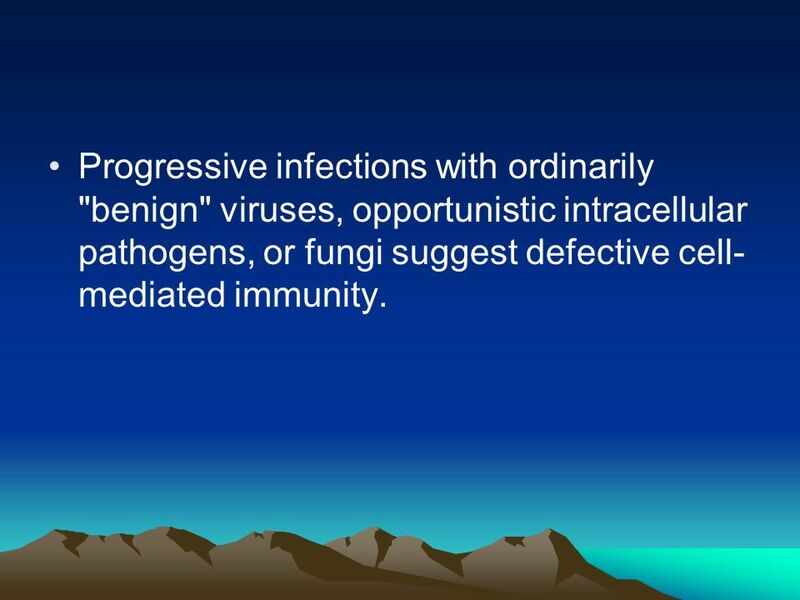 10 Progressive infections with ordinarily "benign" viruses, opportunistic intracellular pathogens, or fungi suggest defective cell-mediated immunity. 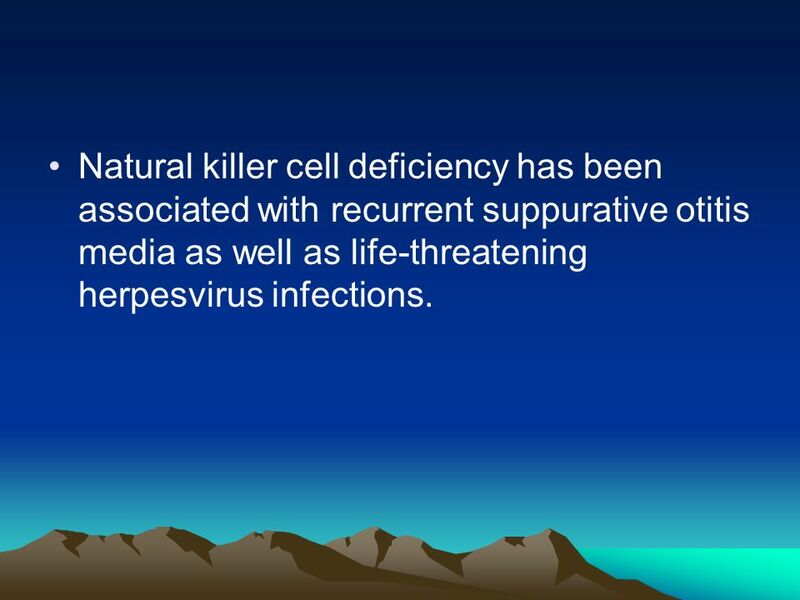 11 Natural killer cell deficiency has been associated with recurrent suppurative otitis media as well as life-threatening herpesvirus infections. 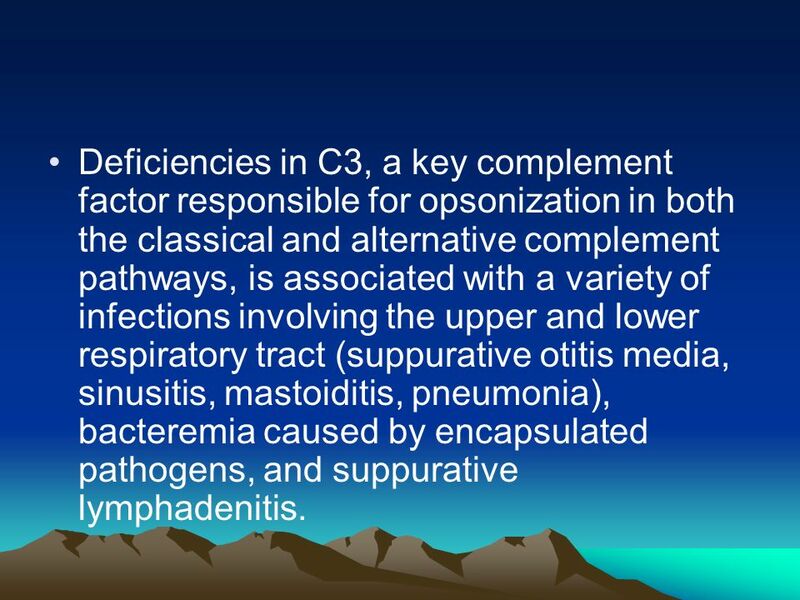 12 Deficiencies in C3, a key complement factor responsible for opsonization in both the classical and alternative complement pathways, is associated with a variety of infections involving the upper and lower respiratory tract (suppurative otitis media, sinusitis, mastoiditis, pneumonia), bacteremia caused by encapsulated pathogens, and suppurative lymphadenitis. 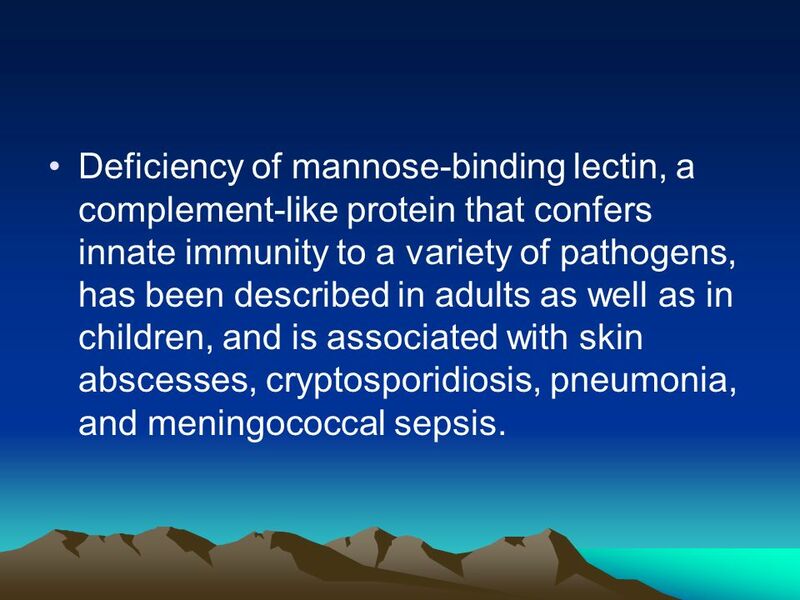 13 Deficiency of mannose-binding lectin, a complement-like protein that confers innate immunity to a variety of pathogens, has been described in adults as well as in children, and is associated with skin abscesses, cryptosporidiosis, pneumonia, and meningococcal sepsis. 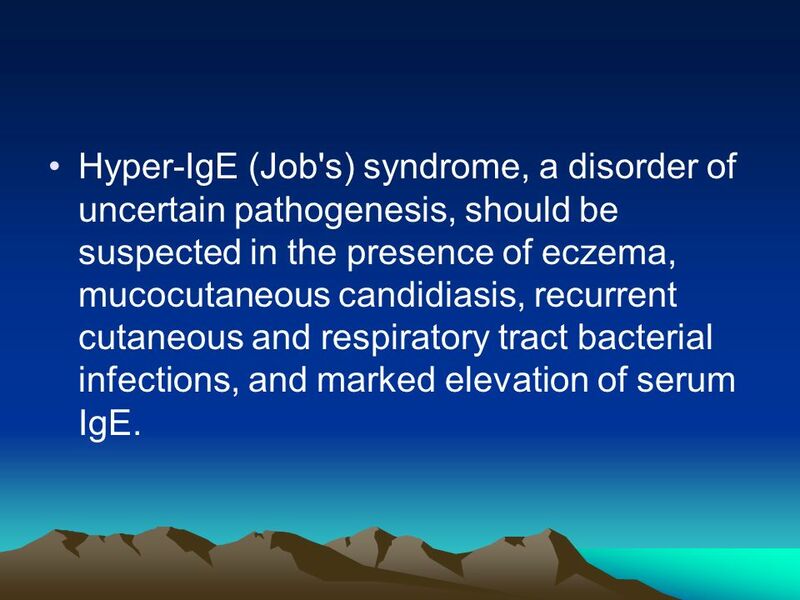 14 Hyper-IgE (Job's) syndrome, a disorder of uncertain pathogenesis, should be suspected in the presence of eczema, mucocutaneous candidiasis, recurrent cutaneous and respiratory tract bacterial infections, and marked elevation of serum IgE. 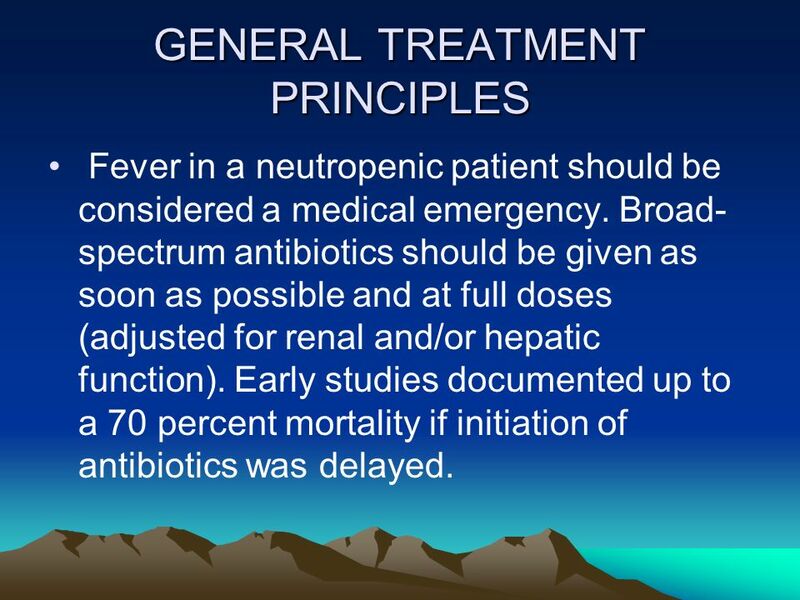 Fever in a neutropenic patient should be considered a medical emergency. Prior to the era of empiric antibiotic therapy, infections accounted for almost 75 percent of the mortality related to chemotherapy. 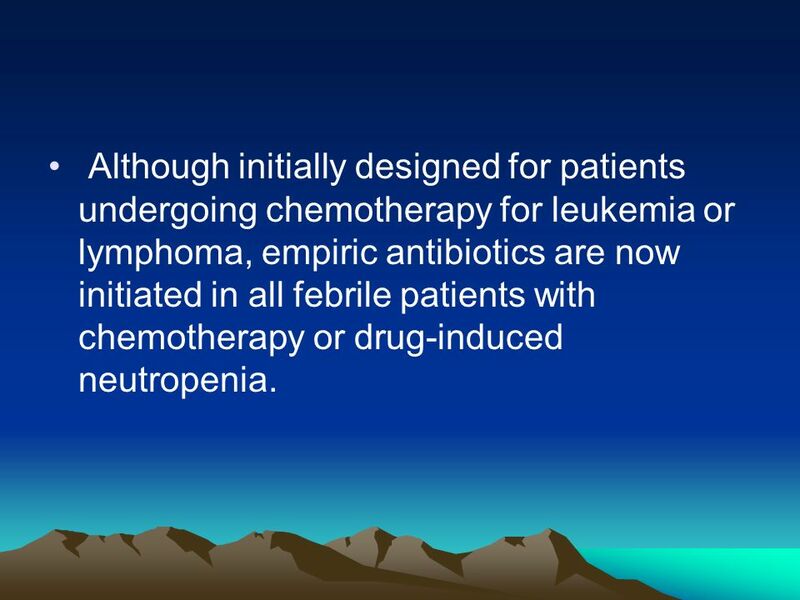 16 Although initially designed for patients undergoing chemotherapy for leukemia or lymphoma, empiric antibiotics are now initiated in all febrile patients with chemotherapy or drug-induced neutropenia. 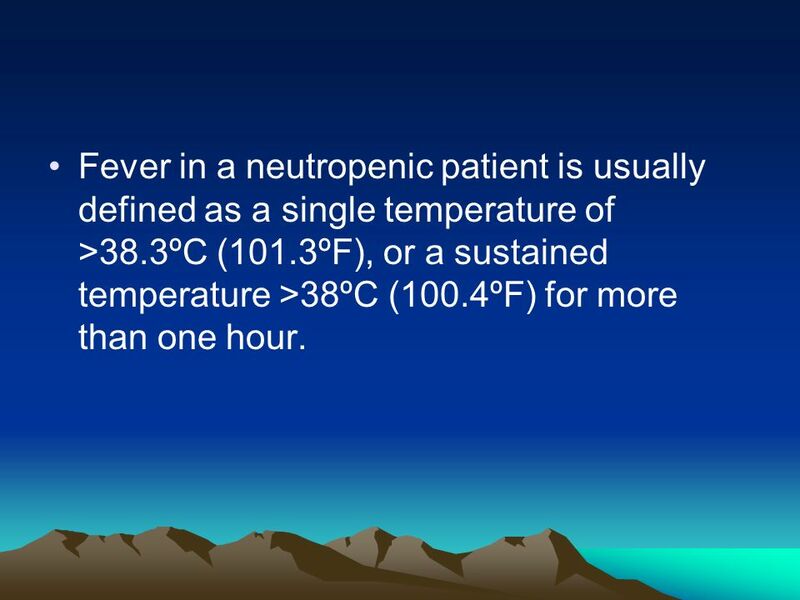 17 Fever in a neutropenic patient is usually defined as a single temperature of >38.3ºC (101.3ºF), or a sustained temperature >38ºC (100.4ºF) for more than one hour. 18 However, on occasion a neutropenic patient may not present with fever despite the presence of infection. This can occur more commonly in elderly patients or those receiving corticosteroids. 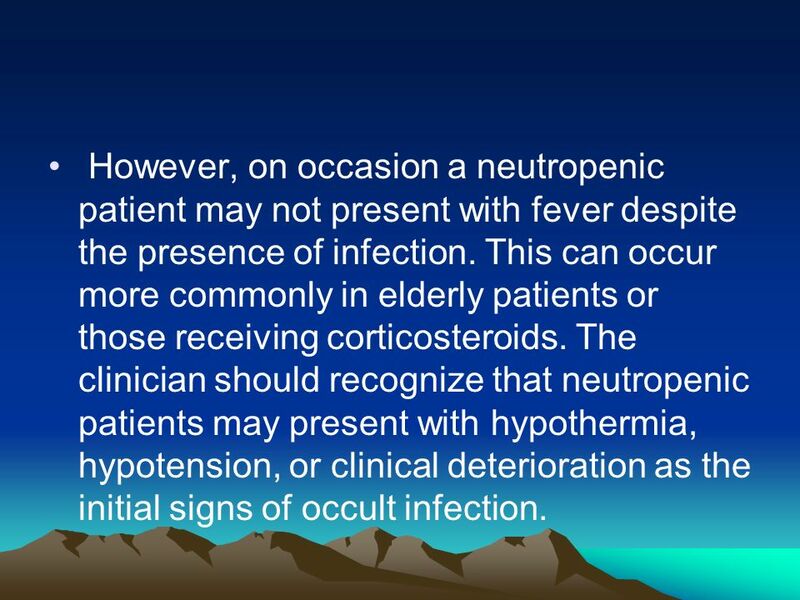 The clinician should recognize that neutropenic patients may present with hypothermia, hypotension, or clinical deterioration as the initial signs of occult infection. 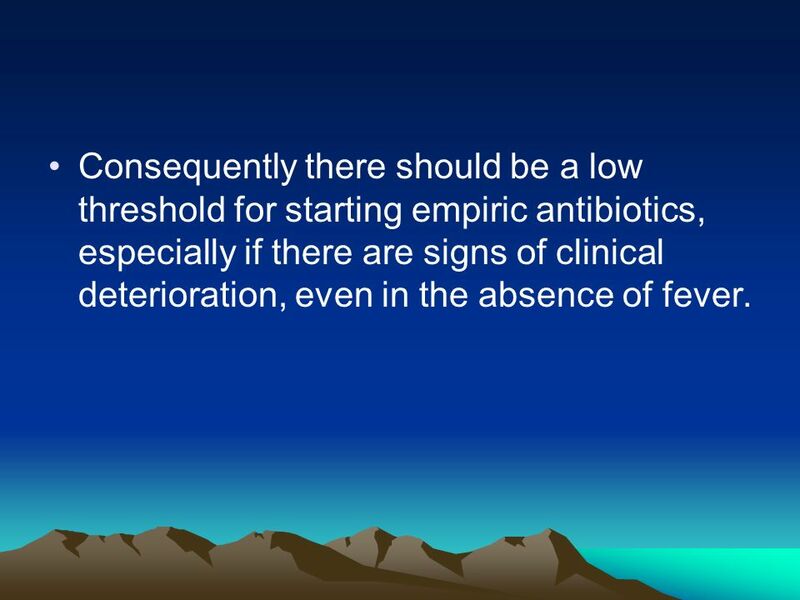 19 Consequently there should be a low threshold for starting empiric antibiotics, especially if there are signs of clinical deterioration, even in the absence of fever. 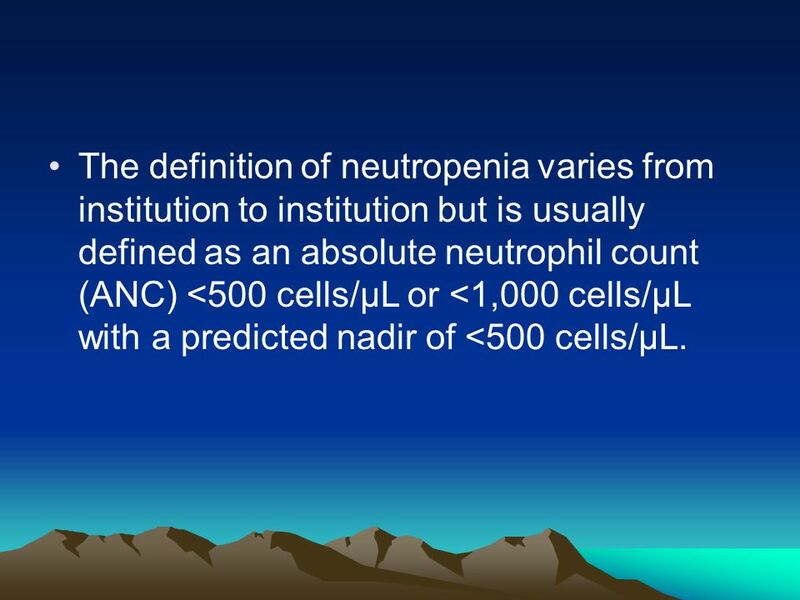 20 The definition of neutropenia varies from institution to institution but is usually defined as an absolute neutrophil count (ANC) <500 cells/µL or <1,000 cells/µL with a predicted nadir of <500 cells/µL. 21 PREDISPOSING FACTORS The risk of infection in the neutropenic patient is related to the virulence of the pathogen, the immunologic impairment of the host, and the disruption of skin and mucosal barriers. 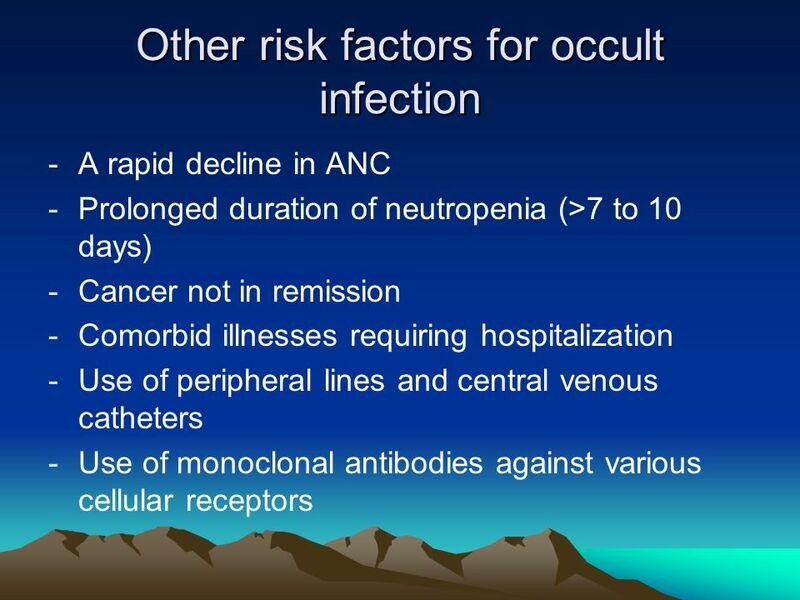 22 The incidence of an occult infection in a febrile neutropenic patient increases with the severity of the neutropenia. 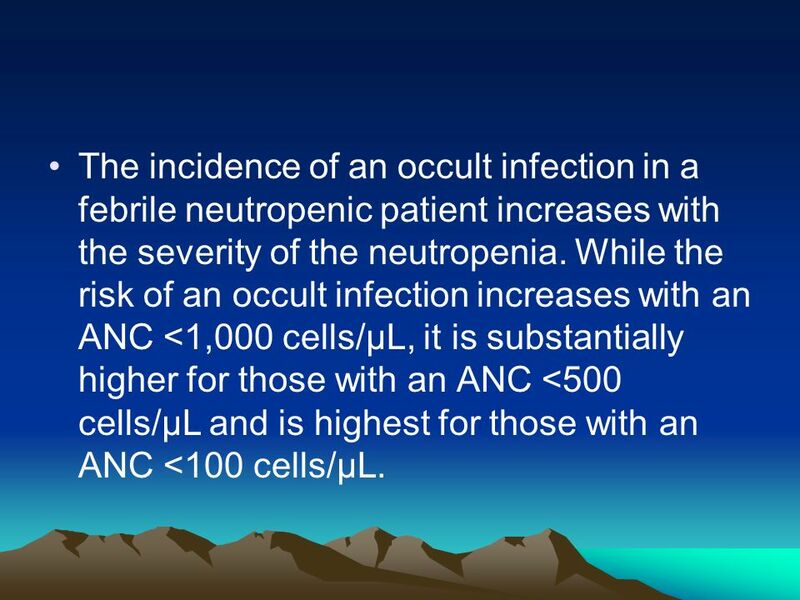 While the risk of an occult infection increases with an ANC <1,000 cells/µL, it is substantially higher for those with an ANC <500 cells/µL and is highest for those with an ANC <100 cells/µL. 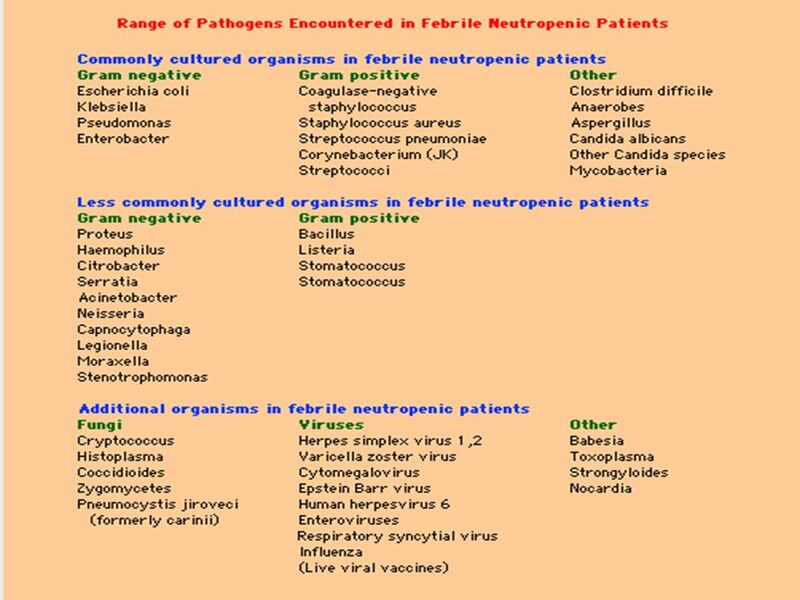 24 ASSOCIATED PATHOGENS An infectious source is identified in approximately 30 percent of febrile neutropenic episodes. 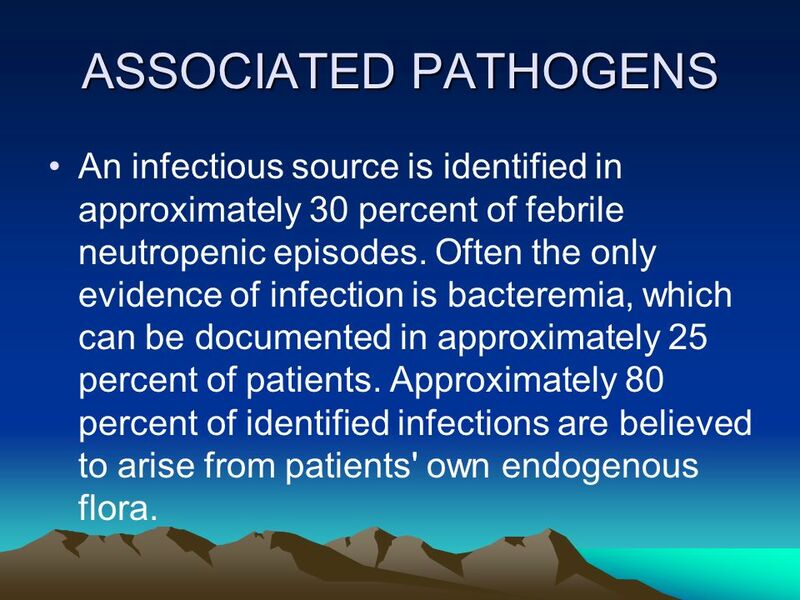 Often the only evidence of infection is bacteremia, which can be documented in approximately 25 percent of patients. Approximately 80 percent of identified infections are believed to arise from patients' own endogenous flora. 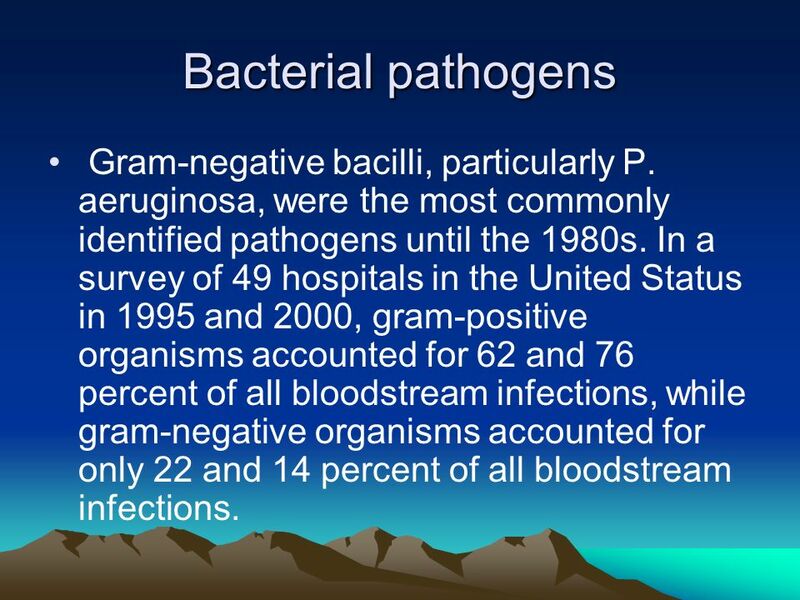 26 Bacterial pathogens Gram-negative bacilli, particularly P. aeruginosa, were the most commonly identified pathogens until the 1980s. In a survey of 49 hospitals in the United Status in 1995 and 2000, gram-positive organisms accounted for 62 and 76 percent of all bloodstream infections, while gram-negative organisms accounted for only 22 and 14 percent of all bloodstream infections. 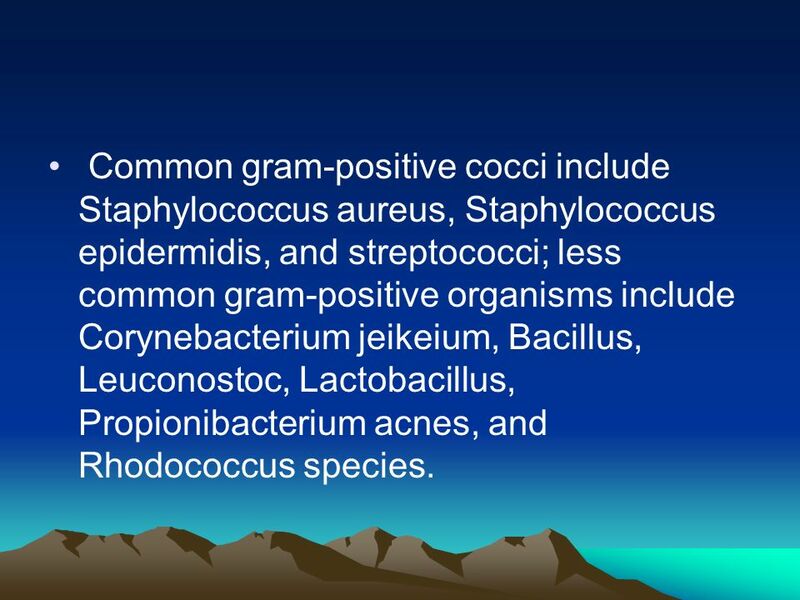 27 Common gram-positive cocci include Staphylococcus aureus, Staphylococcus epidermidis, and streptococci; less common gram-positive organisms include Corynebacterium jeikeium, Bacillus, Leuconostoc, Lactobacillus, Propionibacterium acnes, and Rhodococcus species. 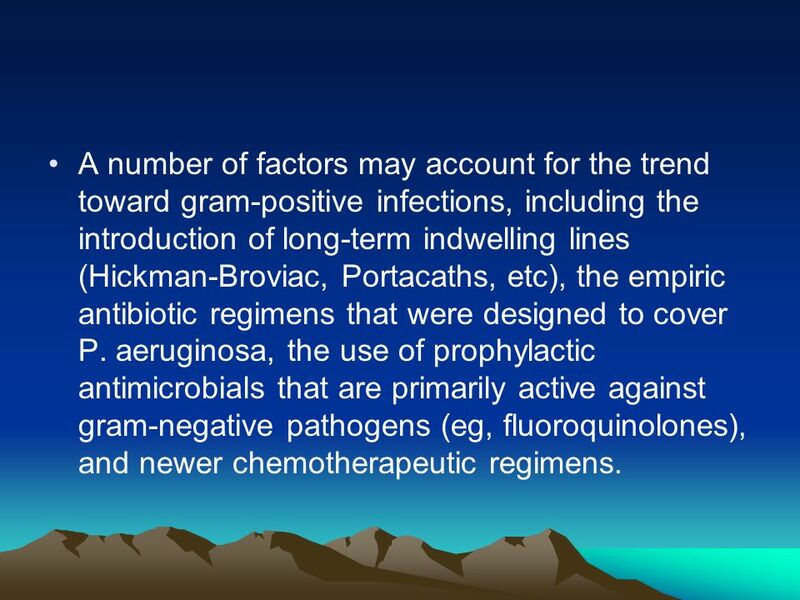 28 A number of factors may account for the trend toward gram-positive infections, including the introduction of long-term indwelling lines (Hickman-Broviac, Portacaths, etc), the empiric antibiotic regimens that were designed to cover P. aeruginosa, the use of prophylactic antimicrobials that are primarily active against gram-negative pathogens (eg, fluoroquinolones), and newer chemotherapeutic regimens. 29 However, it remains important to cover broadly for gram-negative pathogens because of their virulence and association with sepsis . 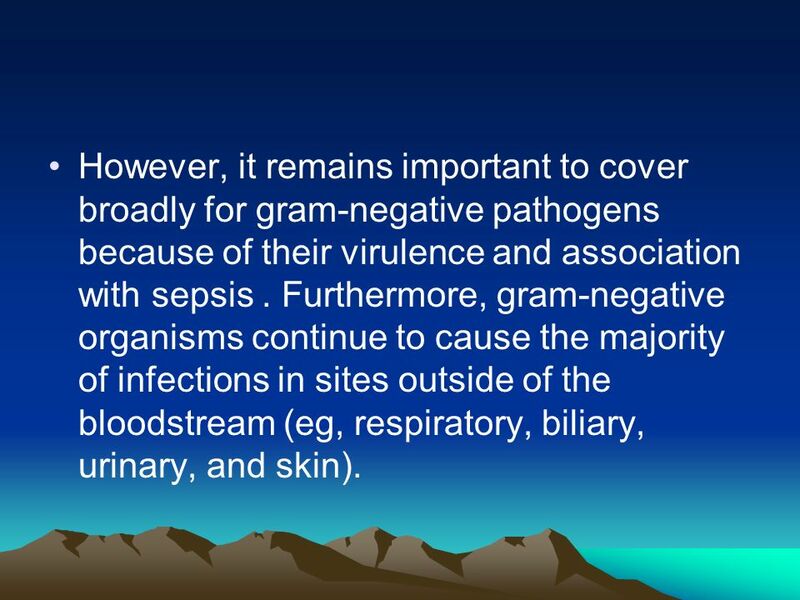 Furthermore, gram-negative organisms continue to cause the majority of infections in sites outside of the bloodstream (eg, respiratory, biliary, urinary, and skin). A rising number of infections are polymicrobial . 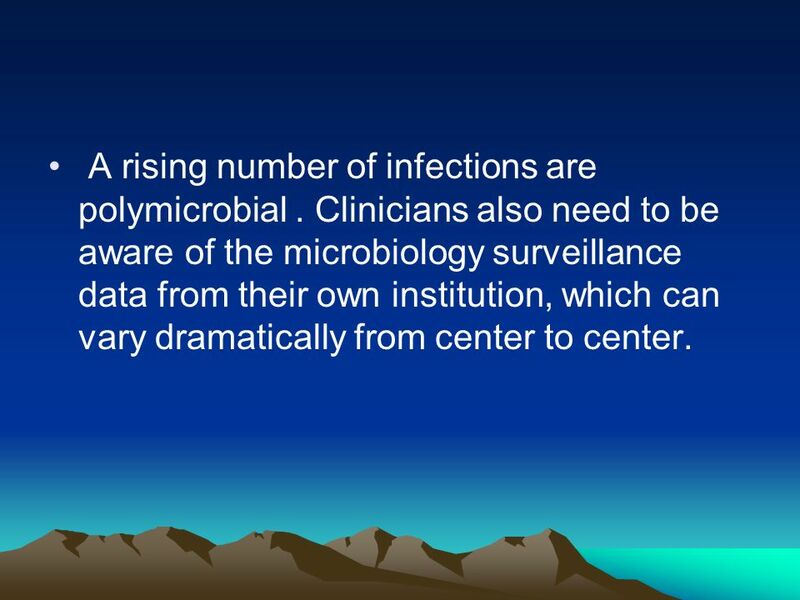 Clinicians also need to be aware of the microbiology surveillance data from their own institution, which can vary dramatically from center to center. 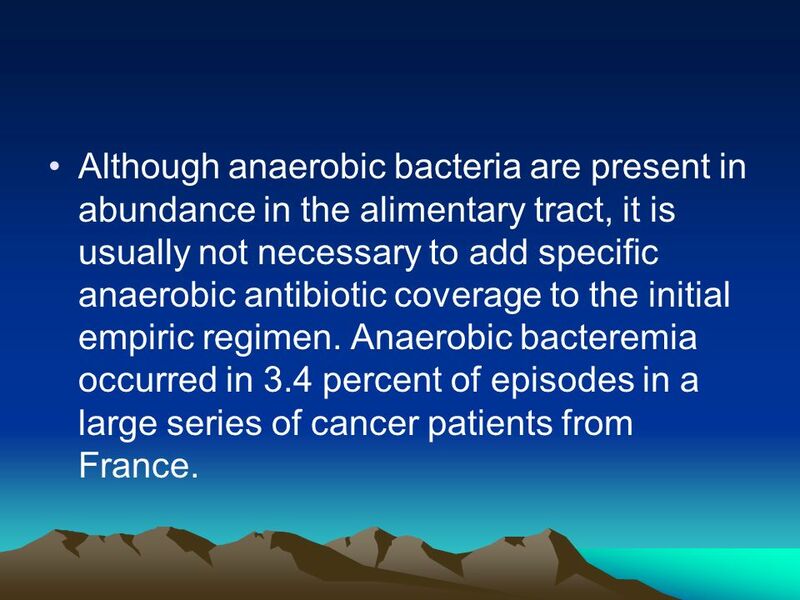 31 Although anaerobic bacteria are present in abundance in the alimentary tract, it is usually not necessary to add specific anaerobic antibiotic coverage to the initial empiric regimen. Anaerobic bacteremia occurred in 3.4 percent of episodes in a large series of cancer patients from France. 32 Specific anaerobic coverage should be added if there is evidence of necrotizing mucositis, sinusitis, periodontal abscess, perirectal abscess/cellulitis, intraabdominal or pelvic infection, typhlitis (necrotizing neutropenic colitis), or anaerobic bacteremia. 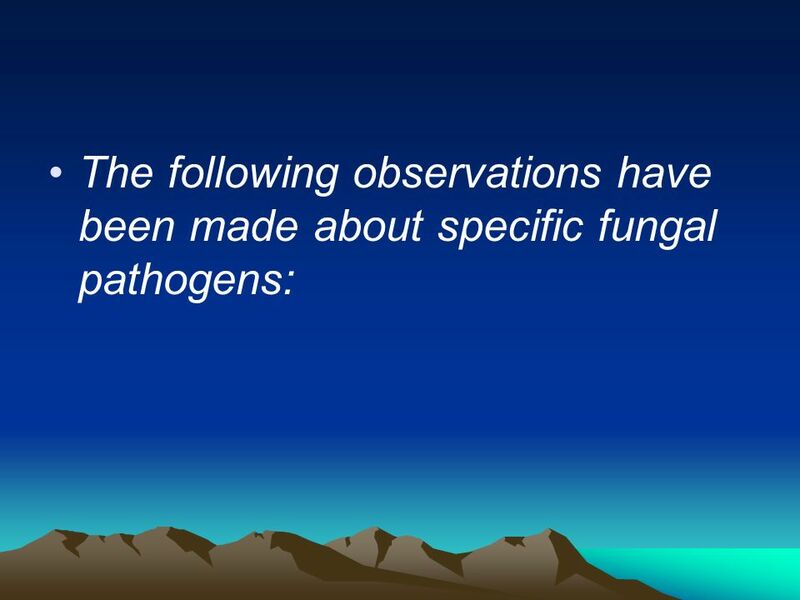 33 Fungal pathogens Fungal pathogens are common. The risk for invasive fungal infections increases with the duration and severity of neutropenia, prolonged antibiotic use, and number of chemotherapy cycles. 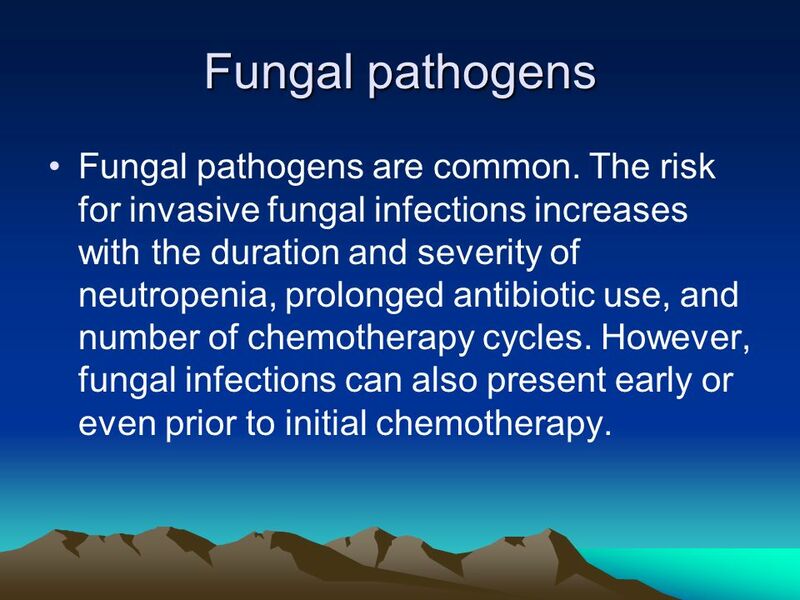 However, fungal infections can also present early or even prior to initial chemotherapy. 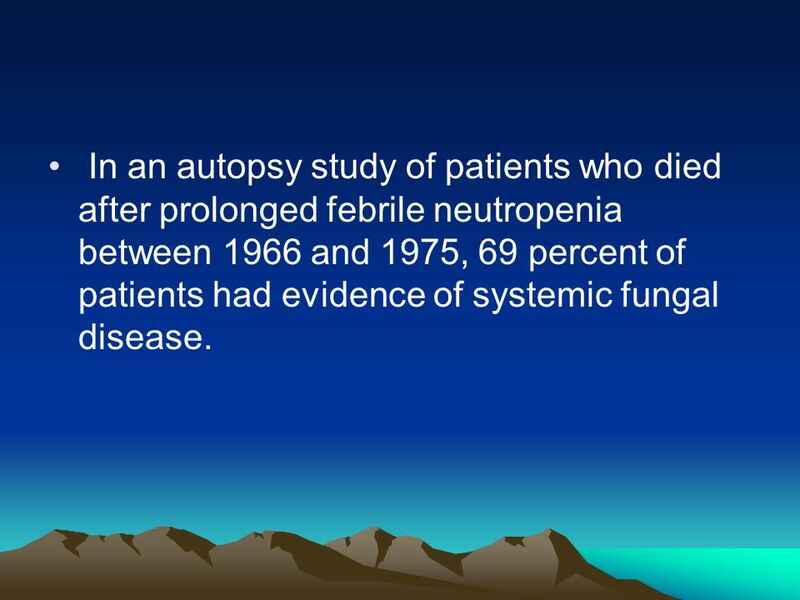 34 In an autopsy study of patients who died after prolonged febrile neutropenia between 1966 and 1975, 69 percent of patients had evidence of systemic fungal disease. 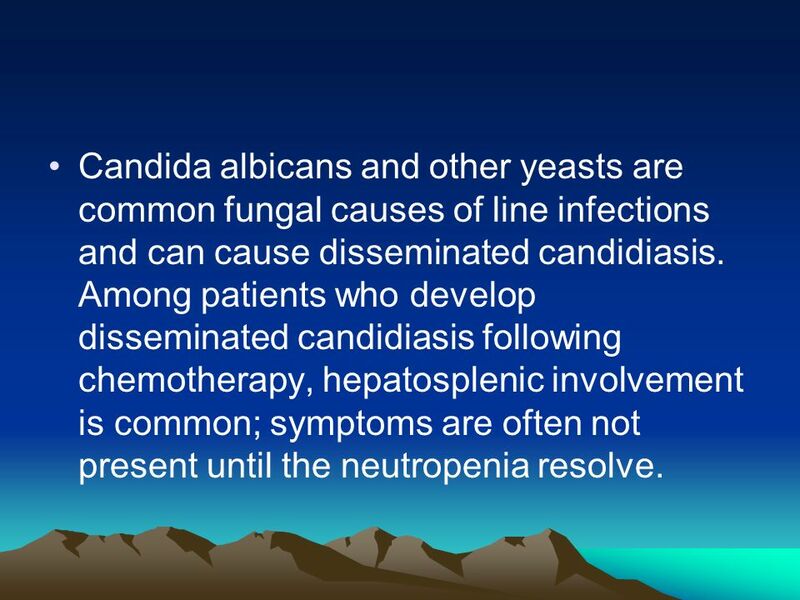 36 Candida albicans and other yeasts are common fungal causes of line infections and can cause disseminated candidiasis. Among patients who develop disseminated candidiasis following chemotherapy, hepatosplenic involvement is common; symptoms are often not present until the neutropenia resolve. 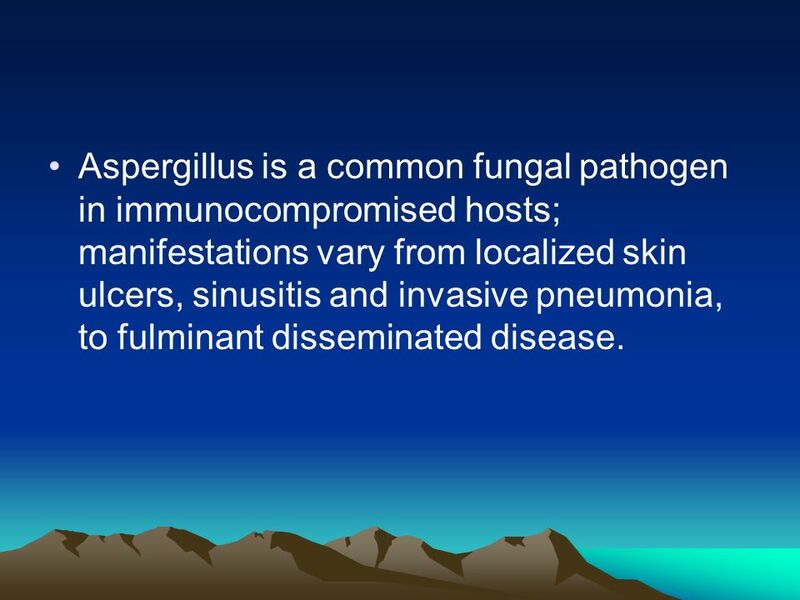 37 Aspergillus is a common fungal pathogen in immunocompromised hosts; manifestations vary from localized skin ulcers, sinusitis and invasive pneumonia, to fulminant disseminated disease. 38 Fusarium sp. have also been increasingly reported in the immunocompromised host. 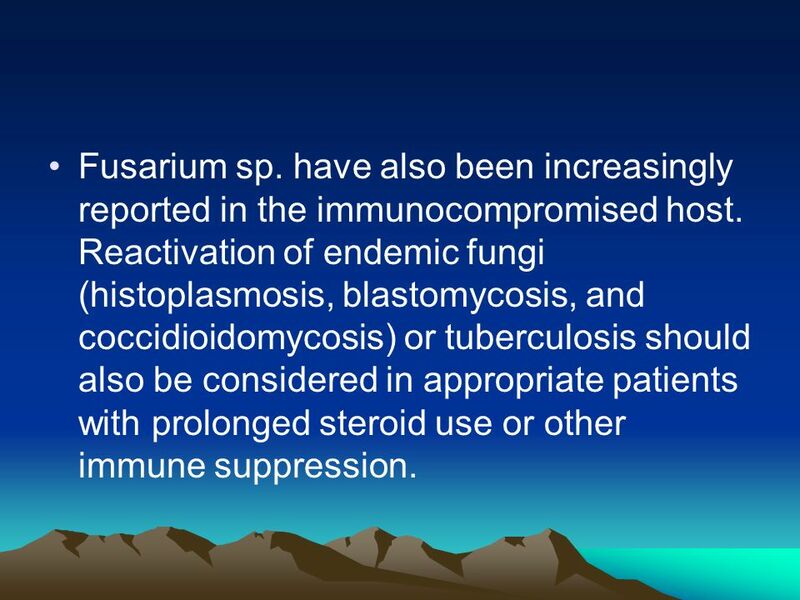 Reactivation of endemic fungi (histoplasmosis, blastomycosis, and coccidioidomycosis) or tuberculosis should also be considered in appropriate patients with prolonged steroid use or other immune suppression. 39 Viral pathogens Viral infections, especially human herpes viruses, are also common in this patient population. Herpes simplex viruses, HSV-1 and HSV-2, are common causes of skin eruptions. 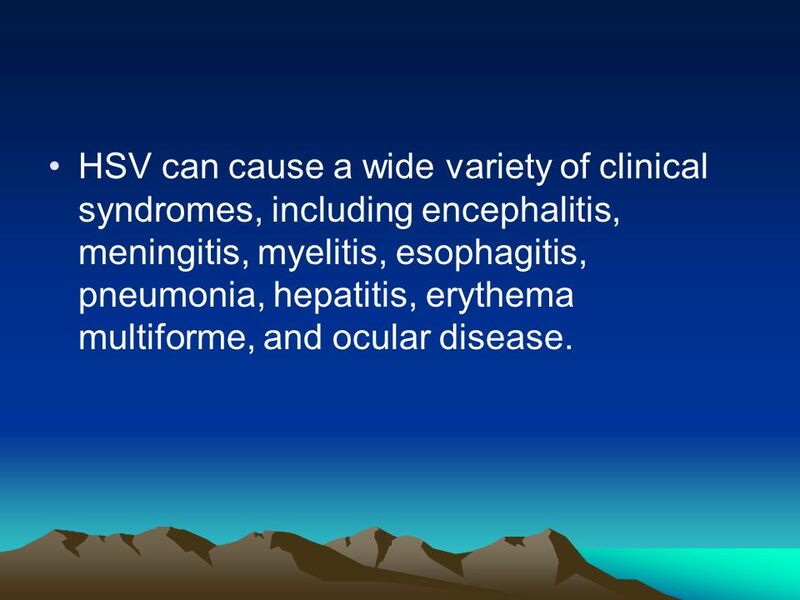 40 HSV can cause a wide variety of clinical syndromes, including encephalitis, meningitis, myelitis, esophagitis, pneumonia, hepatitis, erythema multiforme, and ocular disease. 41 Herpes zoster often presents in an atypical disseminated pattern involving multiple dermatomes or widespread skin dissemination in immunocompromised hosts. 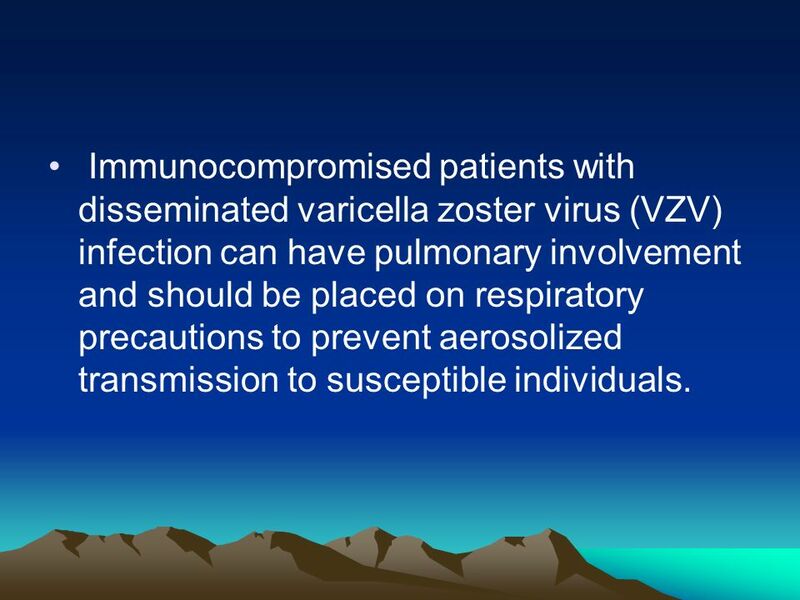 42 Immunocompromised patients with disseminated varicella zoster virus (VZV) infection can have pulmonary involvement and should be placed on respiratory precautions to prevent aerosolized transmission to susceptible individuals. 43 Primary seroconversion or reactivation of other human herpes viruses (cytomegalovirus, Epstein Barr virus, HHV-6) can also occur in this patient population as a result of immunosuppression and transfusions. 44 Other common treatable viral infections that occur in the neutropenic host include respiratory syncytial and influenza viruses. 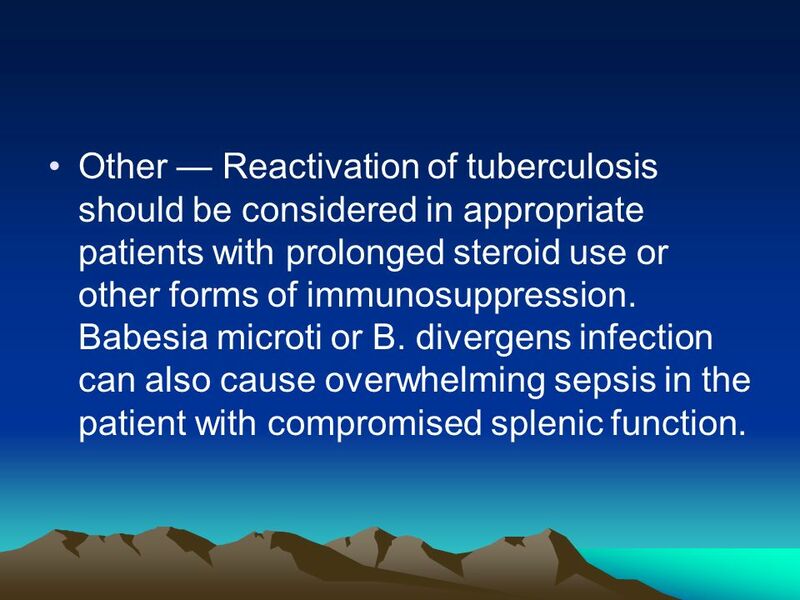 45 Other — Reactivation of tuberculosis should be considered in appropriate patients with prolonged steroid use or other forms of immunosuppression. Babesia microti or B. divergens infection can also cause overwhelming sepsis in the patient with compromised splenic function. 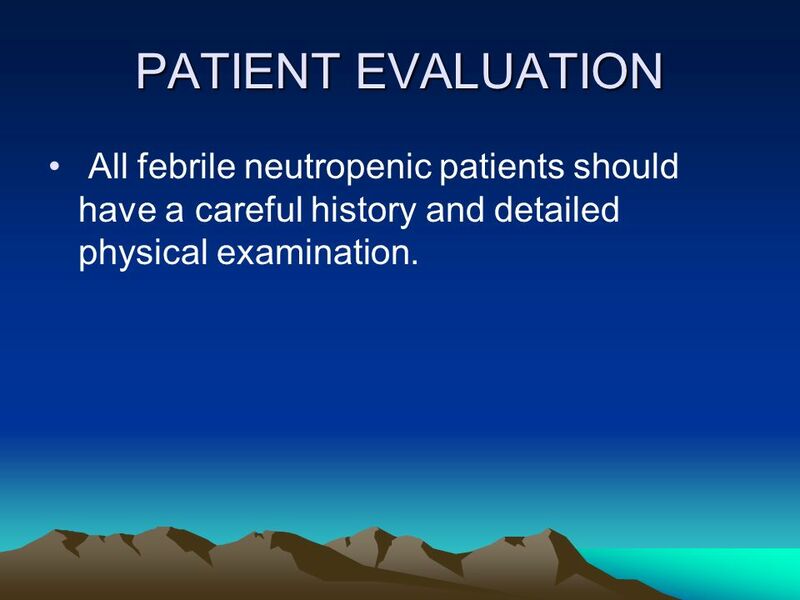 46 PATIENT EVALUATION All febrile neutropenic patients should have a careful history and detailed physical examination. 47 Physical examination A thorough general physical examination should be performed including the sinuses, fundi, and perirectal area. 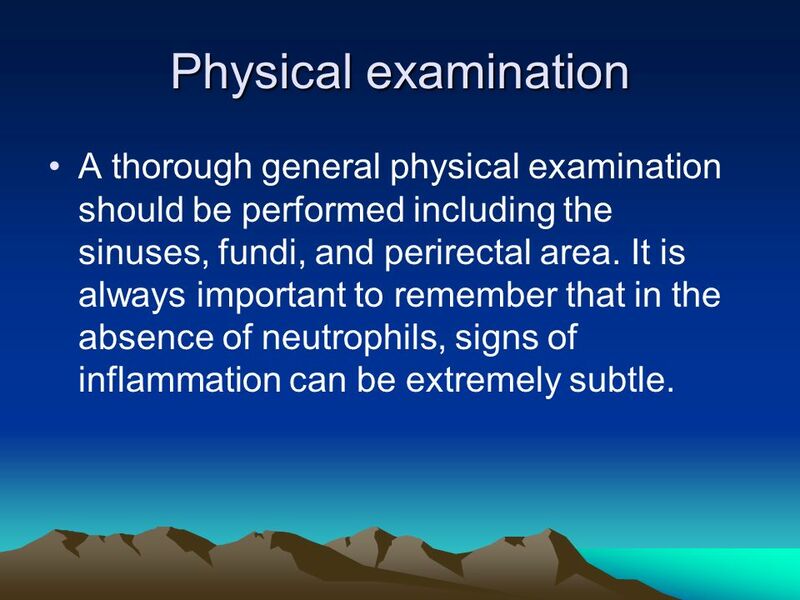 It is always important to remember that in the absence of neutrophils, signs of inflammation can be extremely subtle. 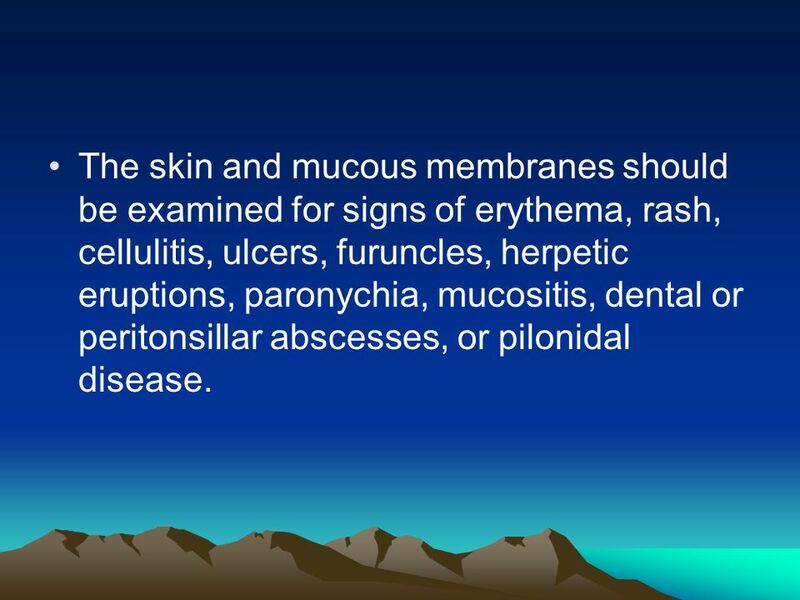 48 The skin and mucous membranes should be examined for signs of erythema, rash, cellulitis, ulcers, furuncles, herpetic eruptions, paronychia, mucositis, dental or peritonsillar abscesses, or pilonidal disease. 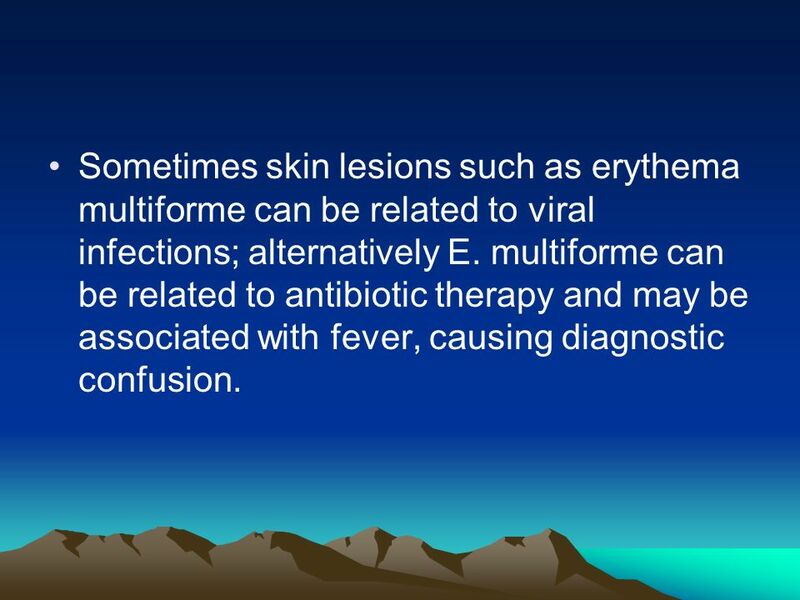 51 Sometimes skin lesions such as erythema multiforme can be related to viral infections; alternatively E. multiforme can be related to antibiotic therapy and may be associated with fever, causing diagnostic confusion. The examination should also include inspection of the perianal area. 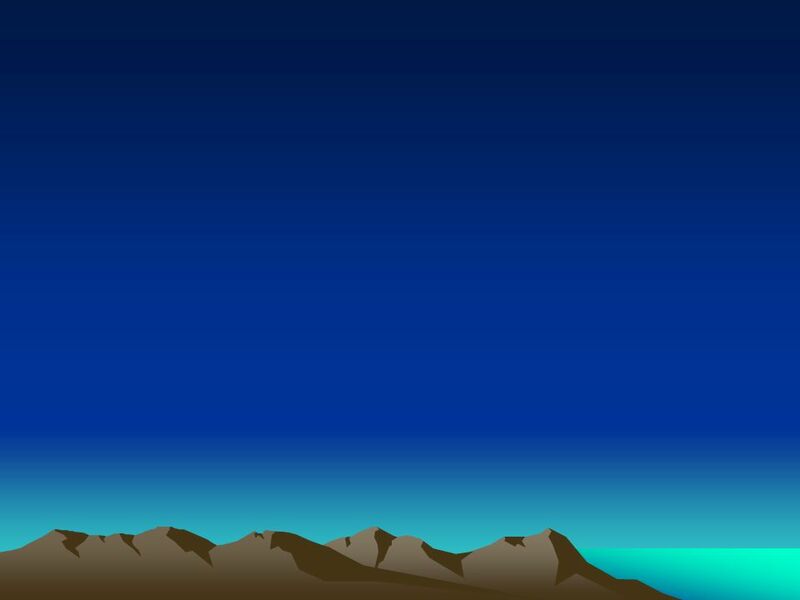 A digital rectal examination (and rectal temperatures) generally should be avoided. However, if a perirectal abscess or prostatitis is suspected, a gentle rectal examination can be performed after broad spectrum antibiotics have been administered. 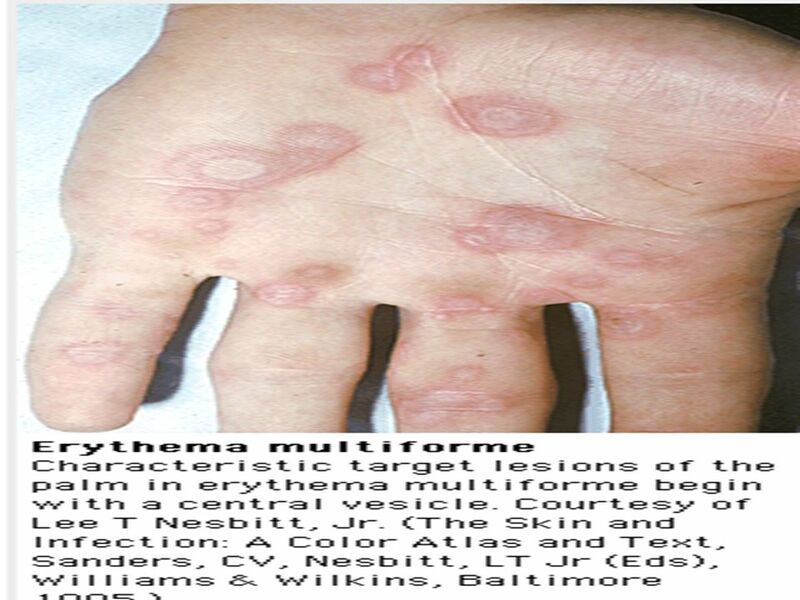 54 All indwelling or recent line sites should be carefully examined for subtle signs of infection; slight erythema, tenderness, fluctuance, or an exudate may be the only evidence of a serious "tunnel" infection. 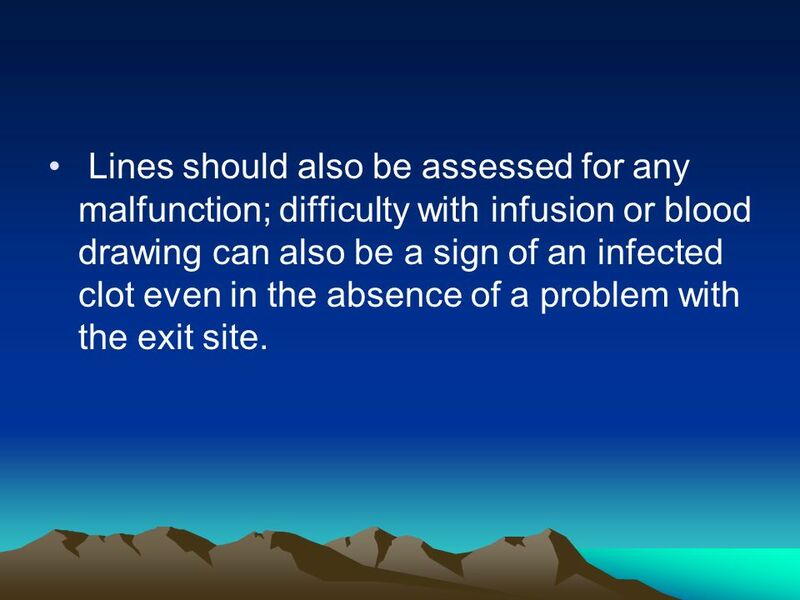 55 Lines should also be assessed for any malfunction; difficulty with infusion or blood drawing can also be a sign of an infected clot even in the absence of a problem with the exit site. Review of symptoms and a physical examination should be repeated daily. 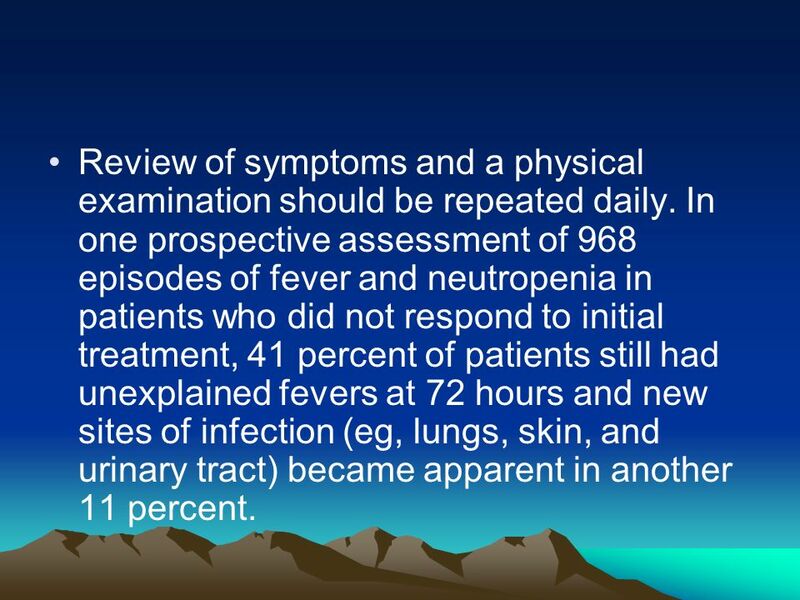 In one prospective assessment of 968 episodes of fever and neutropenia in patients who did not respond to initial treatment, 41 percent of patients still had unexplained fevers at 72 hours and new sites of infection (eg, lungs, skin, and urinary tract) became apparent in another 11 percent. 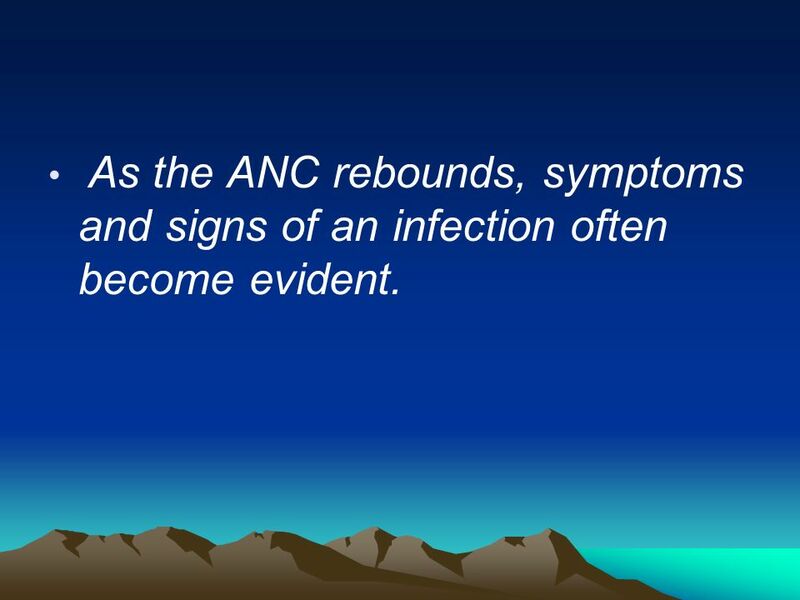 57 As the ANC rebounds, symptoms and signs of an infection often become evident. 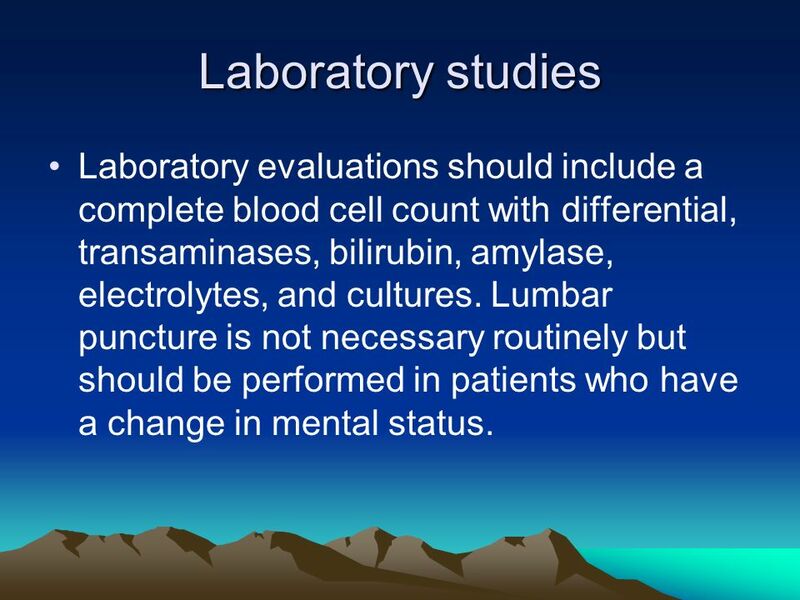 58 Laboratory studies Laboratory evaluations should include a complete blood cell count with differential, transaminases, bilirubin, amylase, electrolytes, and cultures. Lumbar puncture is not necessary routinely but should be performed in patients who have a change in mental status. 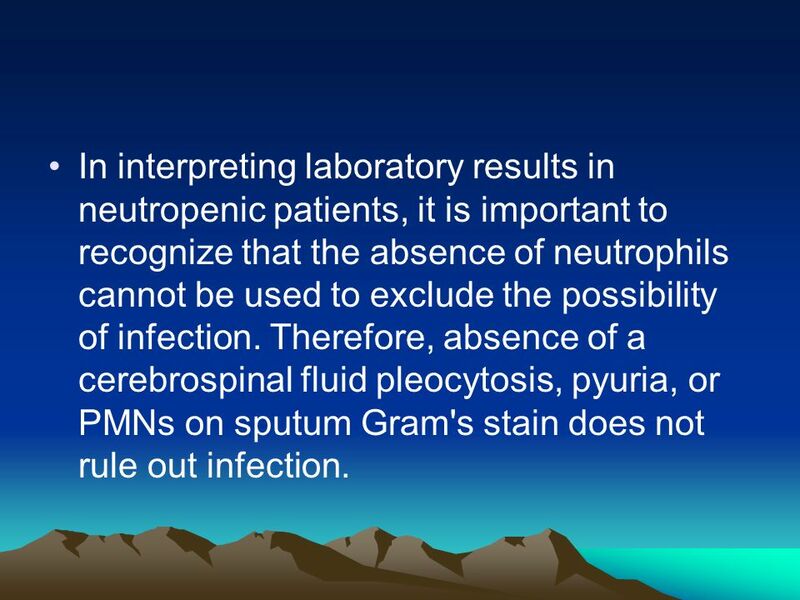 59 In interpreting laboratory results in neutropenic patients, it is important to recognize that the absence of neutrophils cannot be used to exclude the possibility of infection. Therefore, absence of a cerebrospinal fluid pleocytosis, pyuria, or PMNs on sputum Gram's stain does not rule out infection. 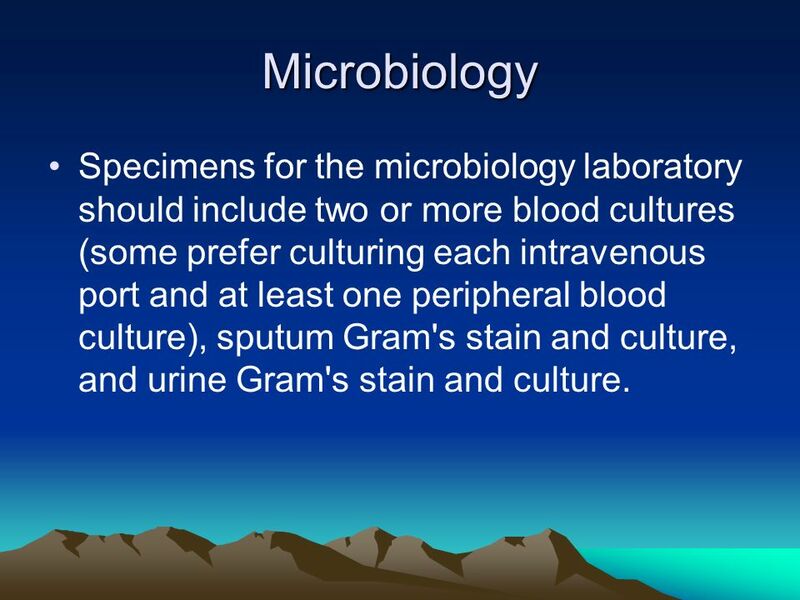 60 Microbiology Specimens for the microbiology laboratory should include two or more blood cultures (some prefer culturing each intravenous port and at least one peripheral blood culture), sputum Gram's stain and culture, and urine Gram's stain and culture. 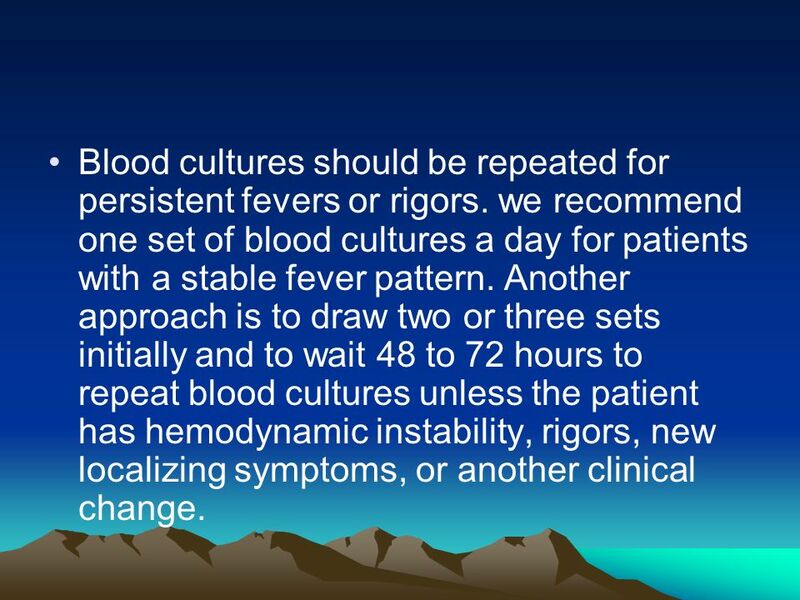 Blood cultures should be repeated for persistent fevers or rigors. we recommend one set of blood cultures a day for patients with a stable fever pattern. Another approach is to draw two or three sets initially and to wait 48 to 72 hours to repeat blood cultures unless the patient has hemodynamic instability, rigors, new localizing symptoms, or another clinical change. 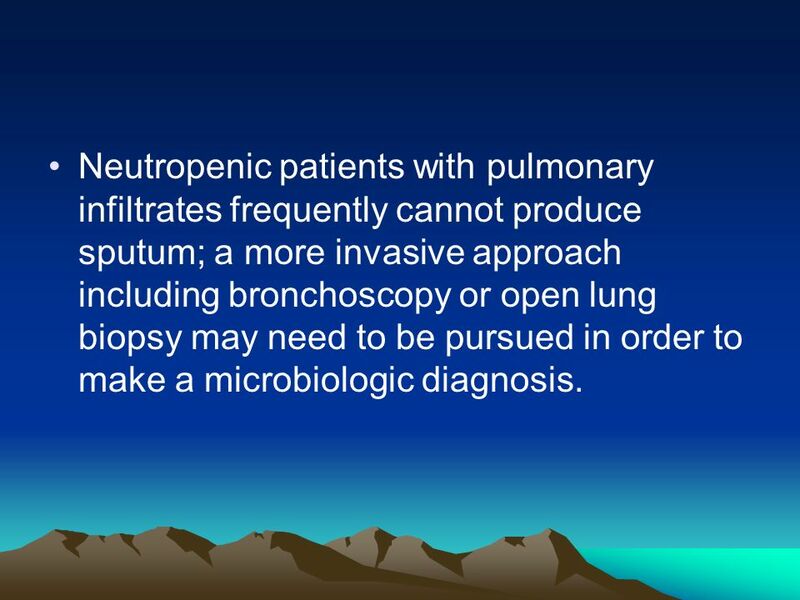 62 Neutropenic patients with pulmonary infiltrates frequently cannot produce sputum; a more invasive approach including bronchoscopy or open lung biopsy may need to be pursued in order to make a microbiologic diagnosis. 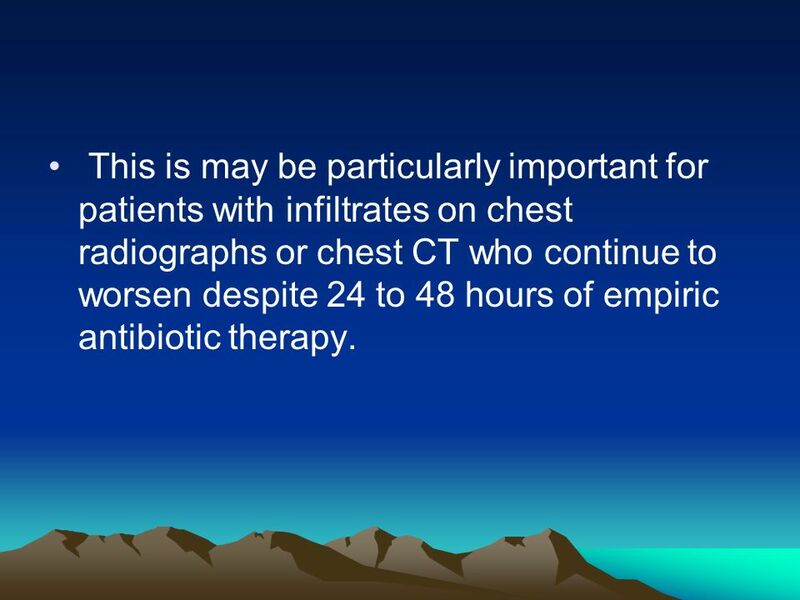 63 This is may be particularly important for patients with infiltrates on chest radiographs or chest CT who continue to worsen despite 24 to 48 hours of empiric antibiotic therapy. 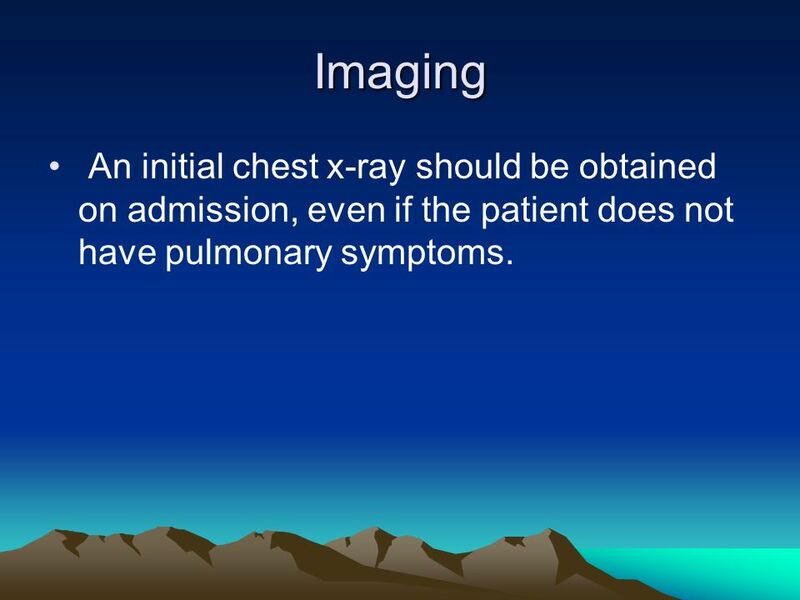 64 Imaging An initial chest x-ray should be obtained on admission, even if the patient does not have pulmonary symptoms. 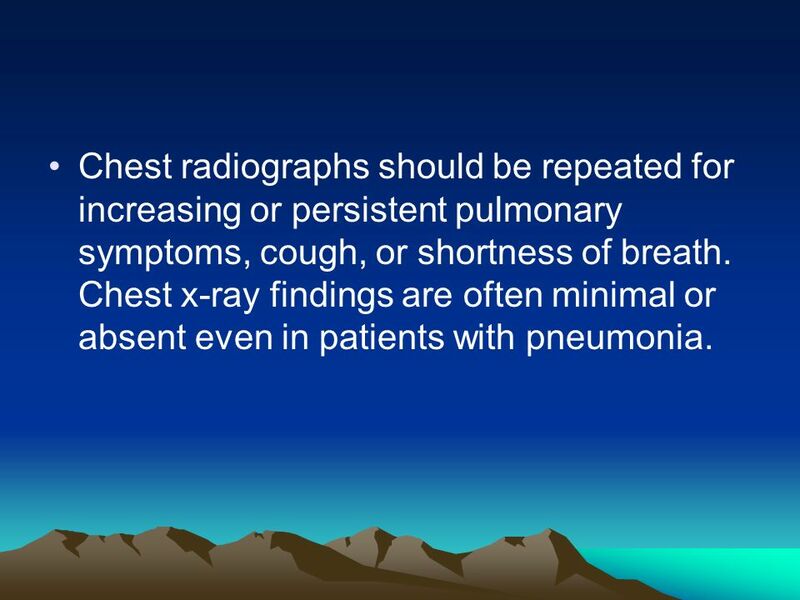 65 Chest radiographs should be repeated for increasing or persistent pulmonary symptoms, cough, or shortness of breath. Chest x-ray findings are often minimal or absent even in patients with pneumonia. 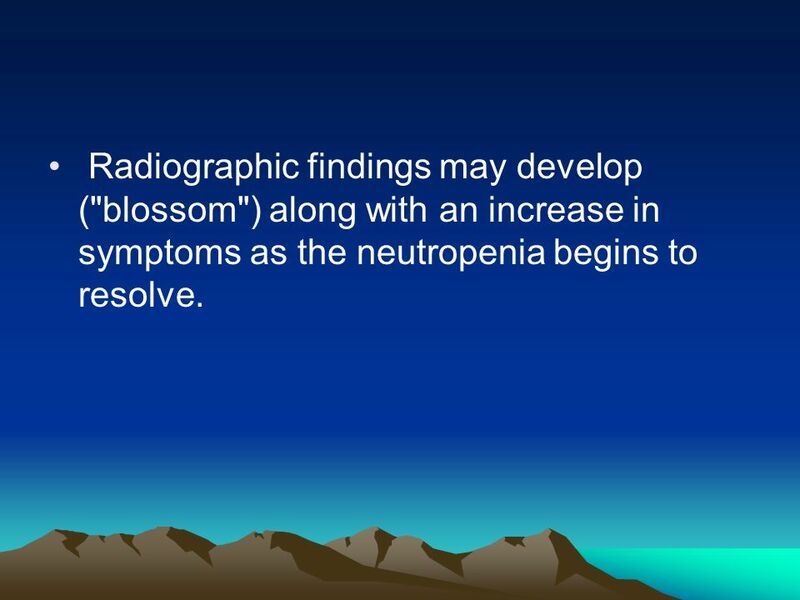 66 Radiographic findings may develop ("blossom") along with an increase in symptoms as the neutropenia begins to resolve. 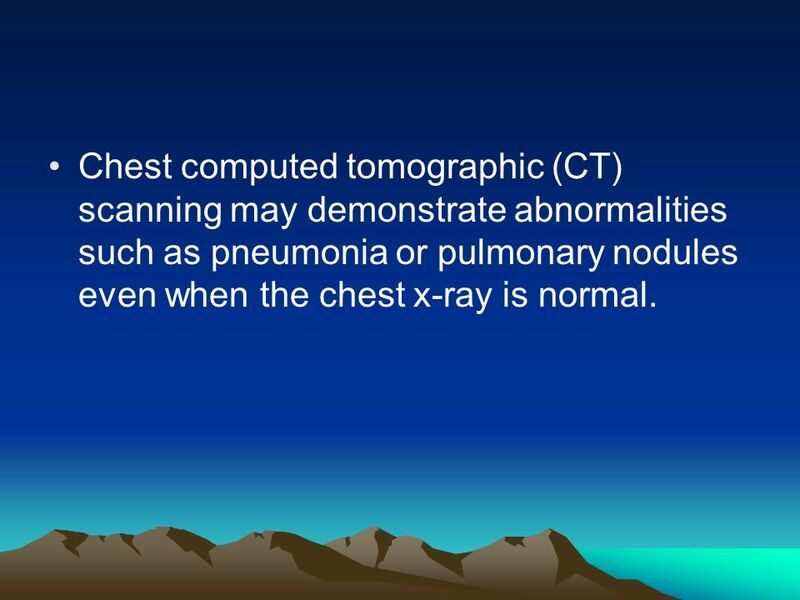 67 Chest computed tomographic (CT) scanning may demonstrate abnormalities such as pneumonia or pulmonary nodules even when the chest x-ray is normal. 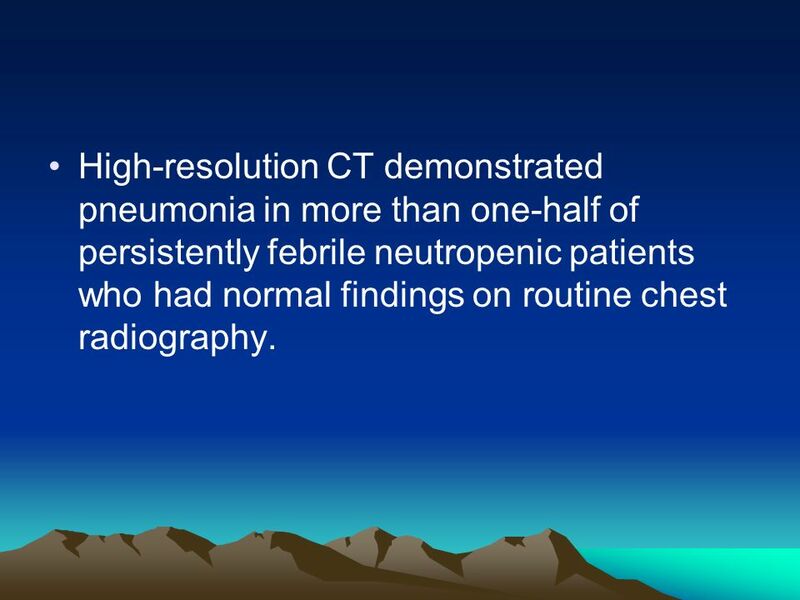 68 High-resolution CT demonstrated pneumonia in more than one-half of persistently febrile neutropenic patients who had normal findings on routine chest radiography. 69 If localizing signs or symptoms are present, other tests should be considered for further investigation, such as imaging of the CNS, sinuses, chest, abdomen, or pelvis, skin biopsy for culture, direct fluorescent antibody (DFA) testing for HSV or VZV, stool for culture, Clostridium difficile toxin, or ova and parasites. 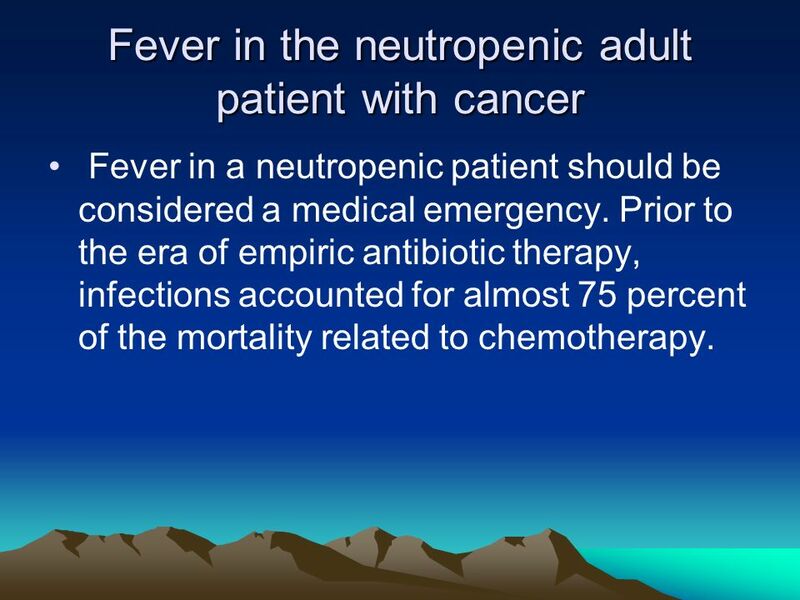 Fever in a neutropenic patient should be considered a medical emergency. Broad-spectrum antibiotics should be given as soon as possible and at full doses (adjusted for renal and/or hepatic function). Early studies documented up to a 70 percent mortality if initiation of antibiotics was delayed. 71 Antibiotics are usually administered empirically, but should always include appropriate coverage for suspected or known infections. 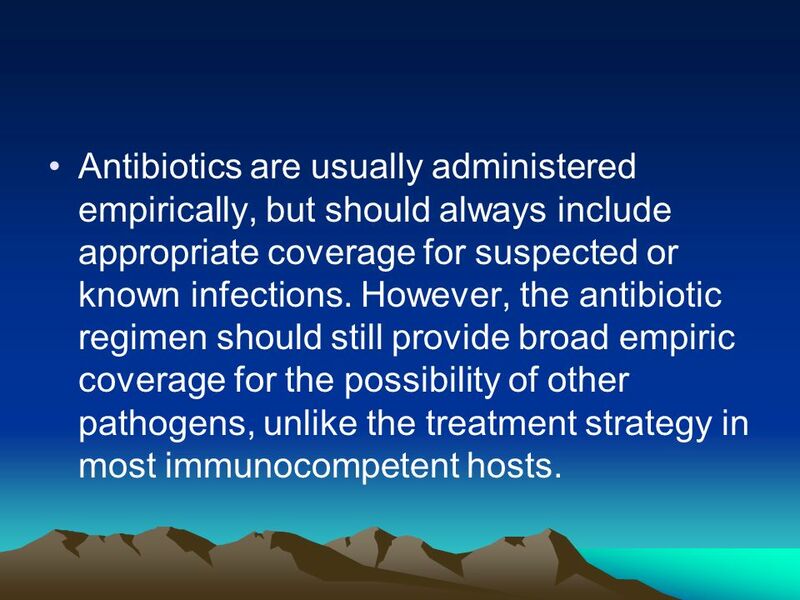 However, the antibiotic regimen should still provide broad empiric coverage for the possibility of other pathogens, unlike the treatment strategy in most immunocompetent hosts. 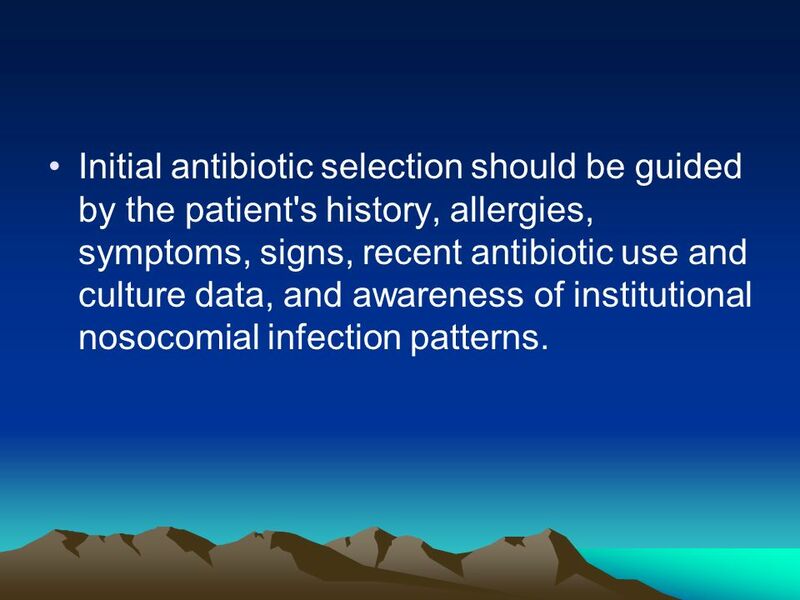 72 Initial antibiotic selection should be guided by the patient's history, allergies, symptoms, signs, recent antibiotic use and culture data, and awareness of institutional nosocomial infection patterns. 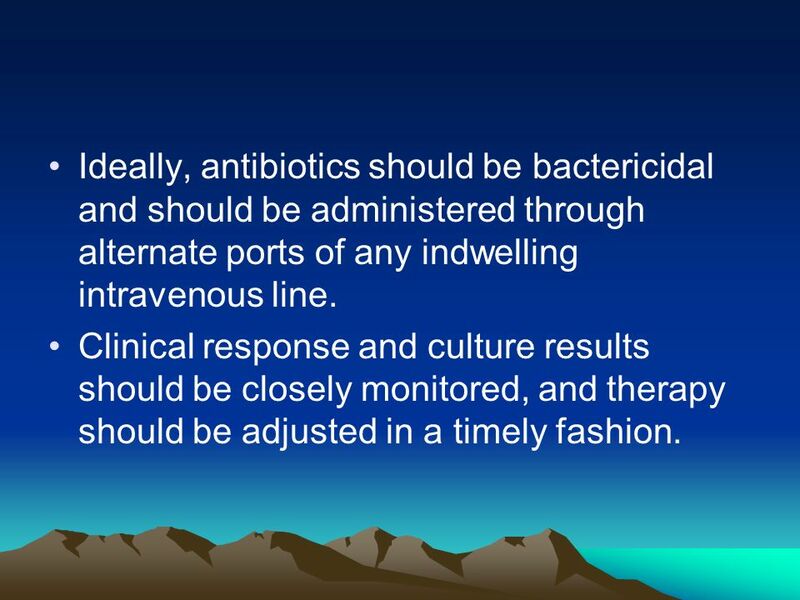 73 Ideally, antibiotics should be bactericidal and should be administered through alternate ports of any indwelling intravenous line. Clinical response and culture results should be closely monitored, and therapy should be adjusted in a timely fashion. 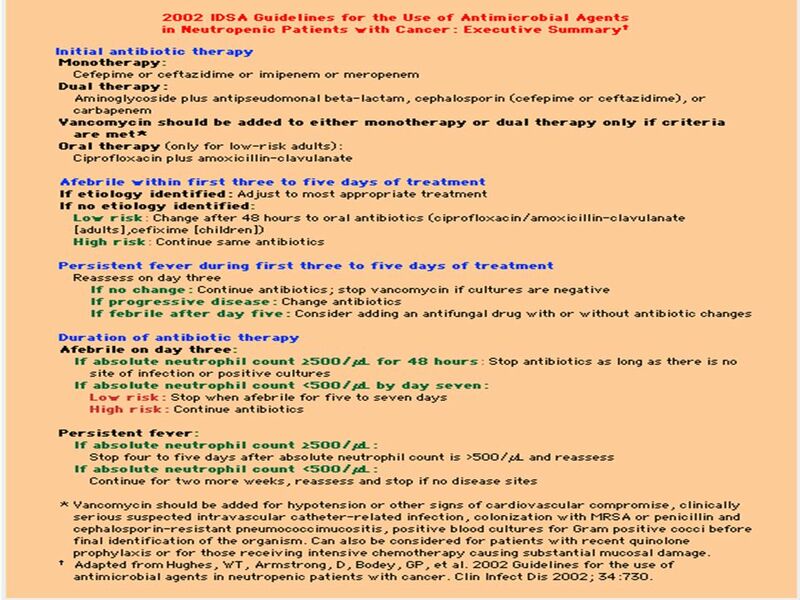 74 If the patient continues to have fever after five days without an identifiable source, the following options are available. 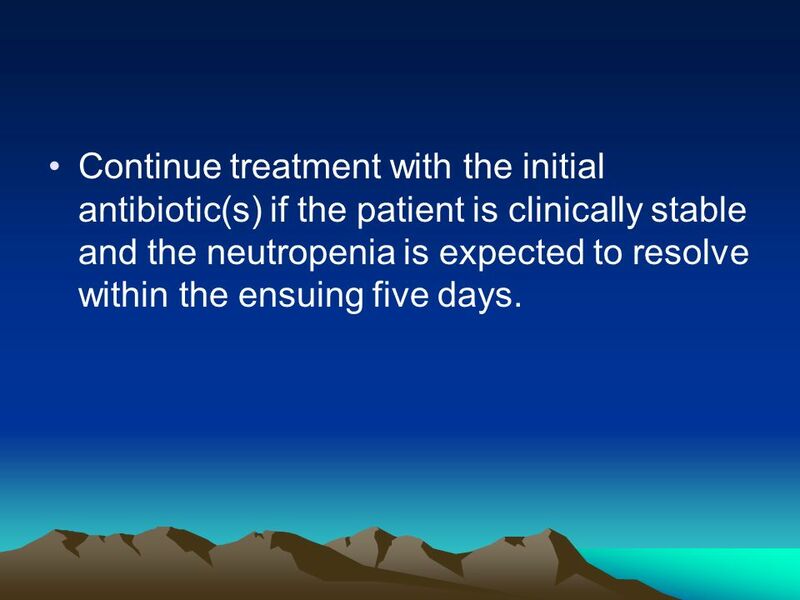 75 Continue treatment with the initial antibiotic(s) if the patient is clinically stable and the neutropenia is expected to resolve within the ensuing five days. 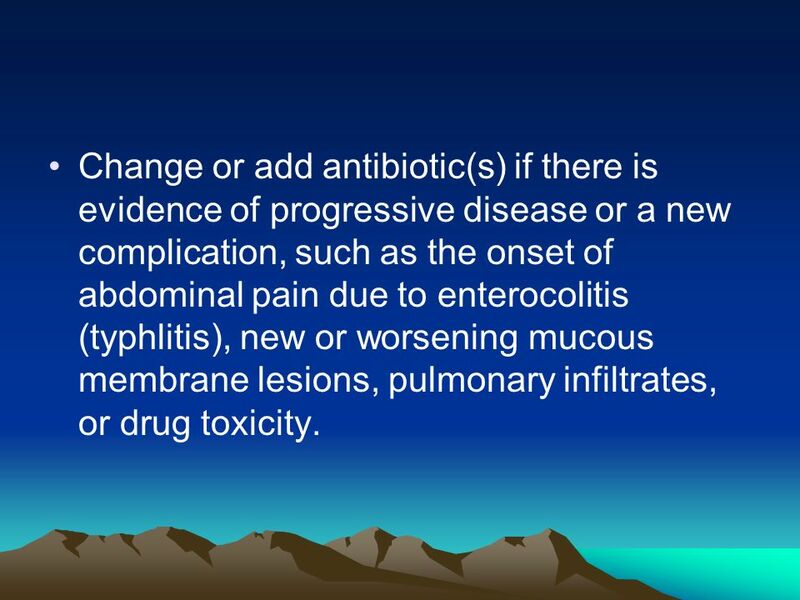 76 Change or add antibiotic(s) if there is evidence of progressive disease or a new complication, such as the onset of abdominal pain due to enterocolitis (typhlitis), new or worsening mucous membrane lesions, pulmonary infiltrates, or drug toxicity. 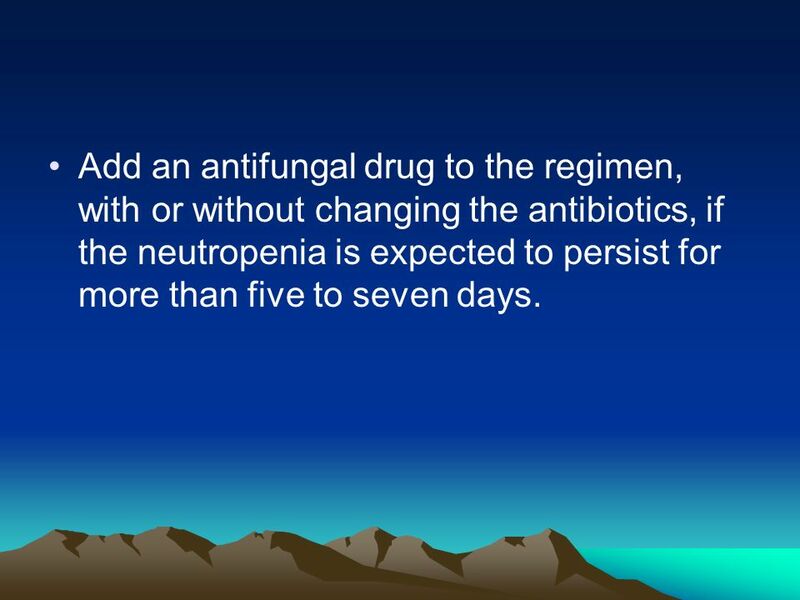 77 Add an antifungal drug to the regimen, with or without changing the antibiotics, if the neutropenia is expected to persist for more than five to seven days. 78 Antibiotic selection The choice of antibiotics is driven by multiple factors, including whether an agent is bactericidal or not . 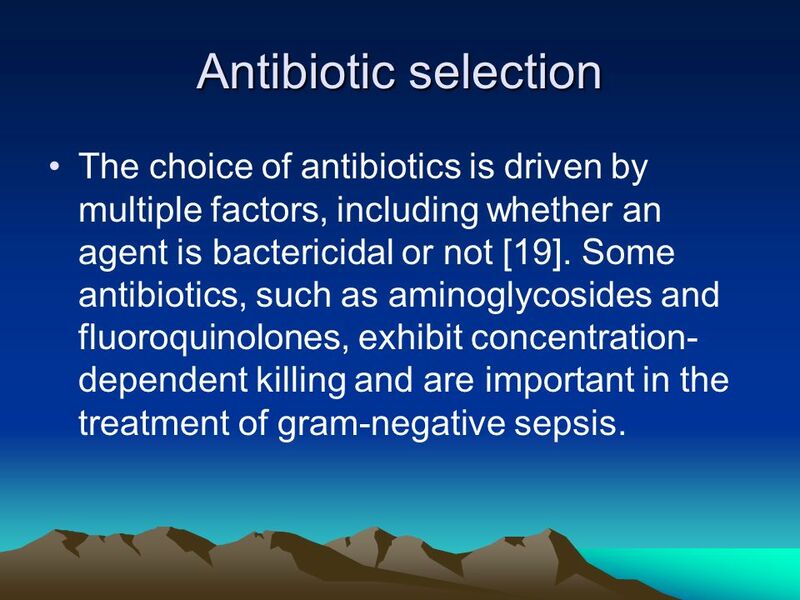 Some antibiotics, such as aminoglycosides and fluoroquinolones, exhibit concentration-dependent killing and are important in the treatment of gram-negative sepsis. 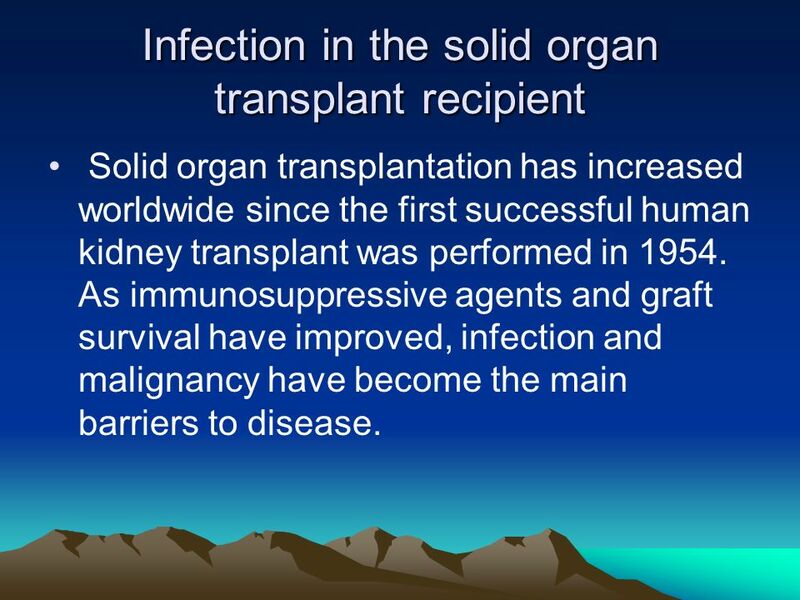 Solid organ transplantation has increased worldwide since the first successful human kidney transplant was performed in As immunosuppressive agents and graft survival have improved, infection and malignancy have become the main barriers to disease. 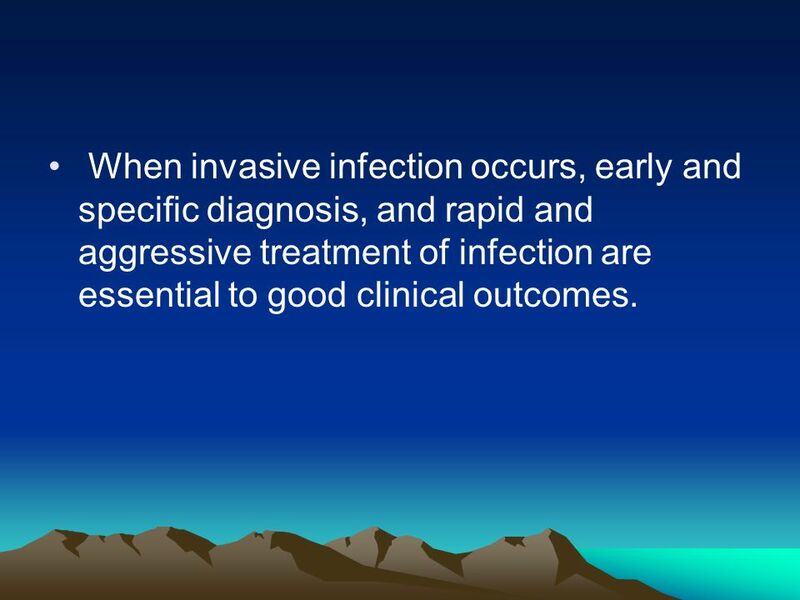 81 When invasive infection occurs, early and specific diagnosis, and rapid and aggressive treatment of infection are essential to good clinical outcomes. 82 Potential etiologies of infection in these patients are diverse, including common, community-acquired bacterial and viral diseases and uncommon opportunistic infections of clinical significance only in immunocompromised hosts. 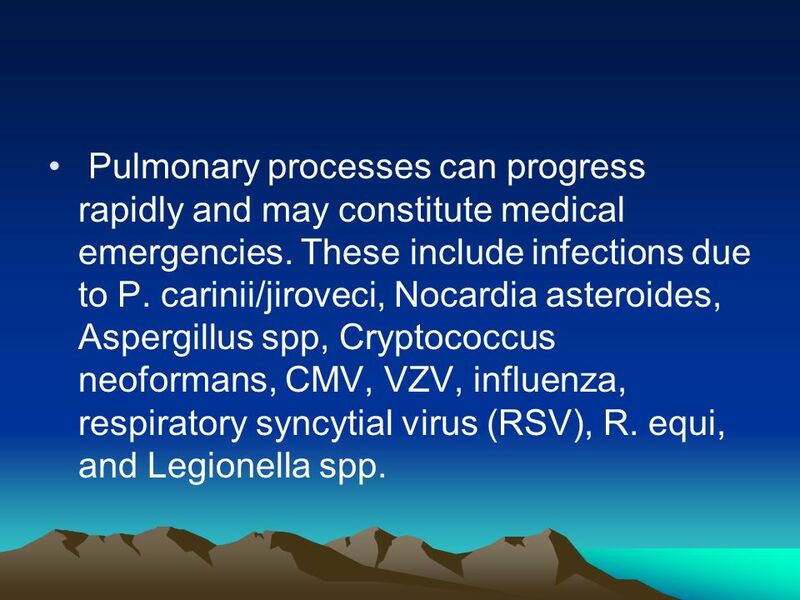 83 Pulmonary processes can progress rapidly and may constitute medical emergencies. These include infections due to P. carinii/jiroveci, Nocardia asteroides, Aspergillus spp, Cryptococcus neoformans, CMV, VZV, influenza, respiratory syncytial virus (RSV), R. equi, and Legionella spp. 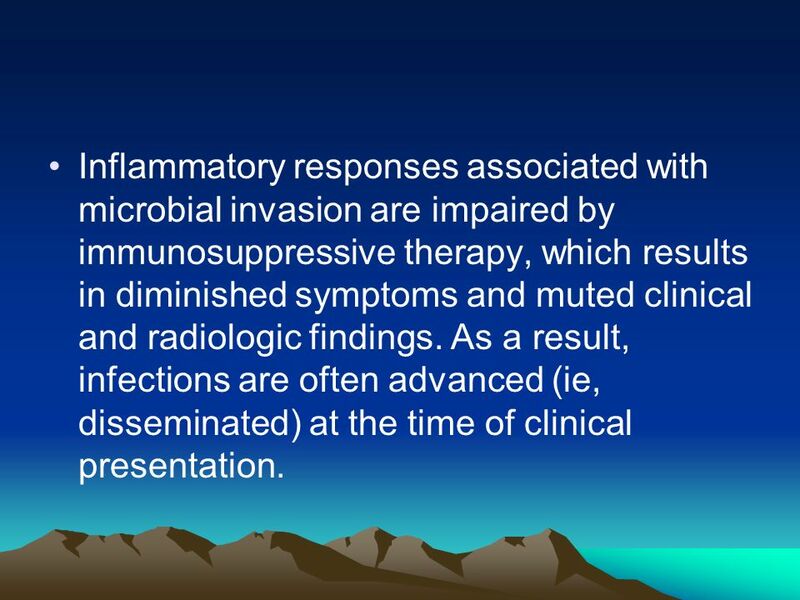 84 Inflammatory responses associated with microbial invasion are impaired by immunosuppressive therapy, which results in diminished symptoms and muted clinical and radiologic findings. As a result, infections are often advanced (ie, disseminated) at the time of clinical presentation. 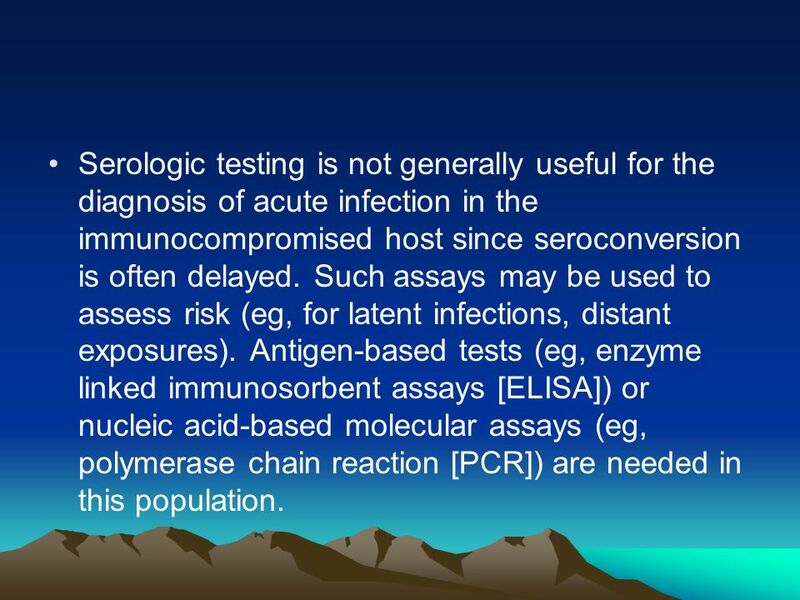 85 Serologic testing is not generally useful for the diagnosis of acute infection in the immunocompromised host since seroconversion is often delayed. Such assays may be used to assess risk (eg, for latent infections, distant exposures). Antigen-based tests (eg, enzyme linked immunosorbent assays [ELISA]) or nucleic acid-based molecular assays (eg, polymerase chain reaction [PCR]) are needed in this population. 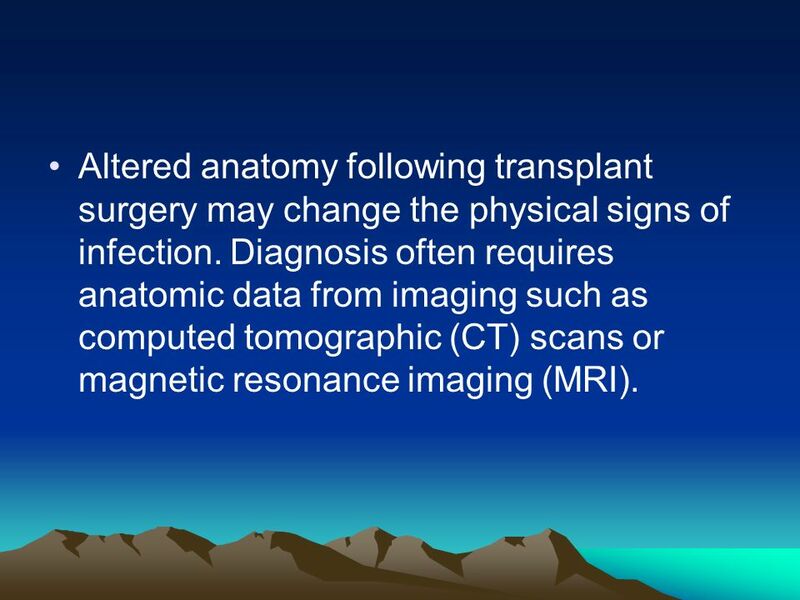 86 Altered anatomy following transplant surgery may change the physical signs of infection. Diagnosis often requires anatomic data from imaging such as computed tomographic (CT) scans or magnetic resonance imaging (MRI). 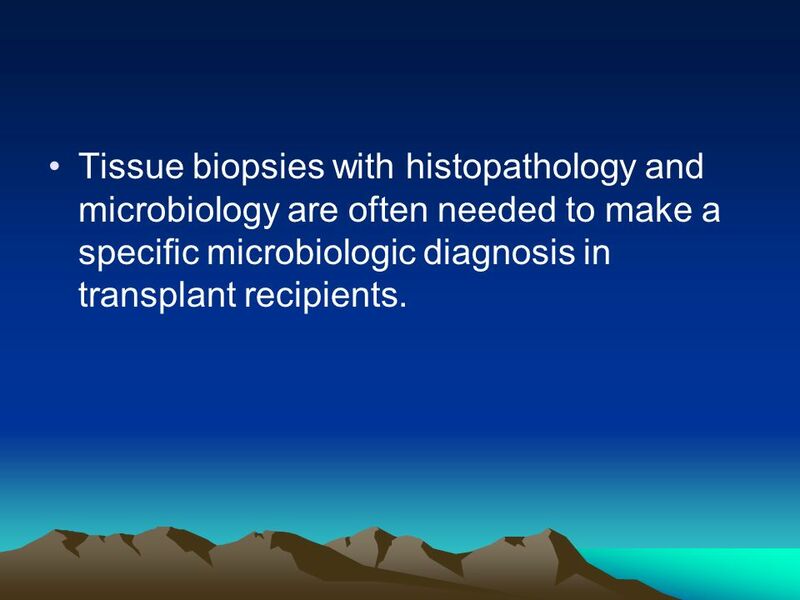 87 Tissue biopsies with histopathology and microbiology are often needed to make a specific microbiologic diagnosis in transplant recipients. 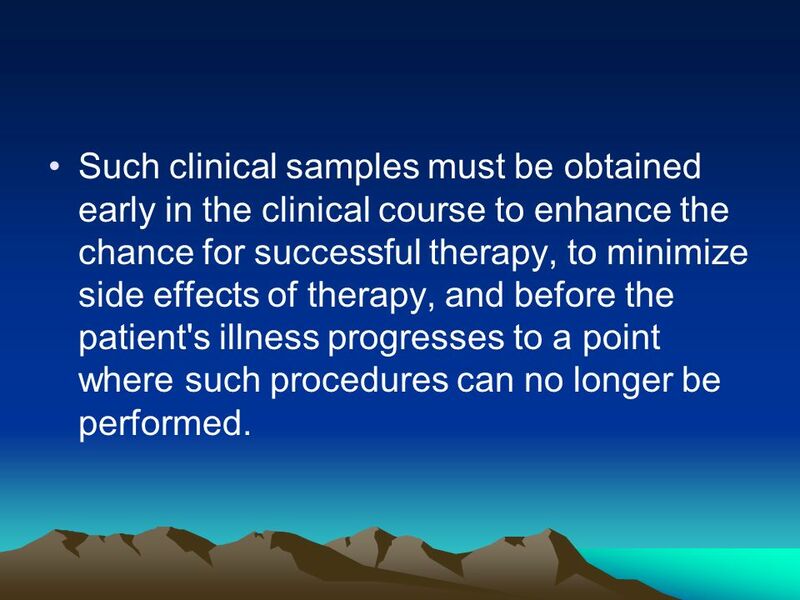 88 Such clinical samples must be obtained early in the clinical course to enhance the chance for successful therapy, to minimize side effects of therapy, and before the patient's illness progresses to a point where such procedures can no longer be performed. 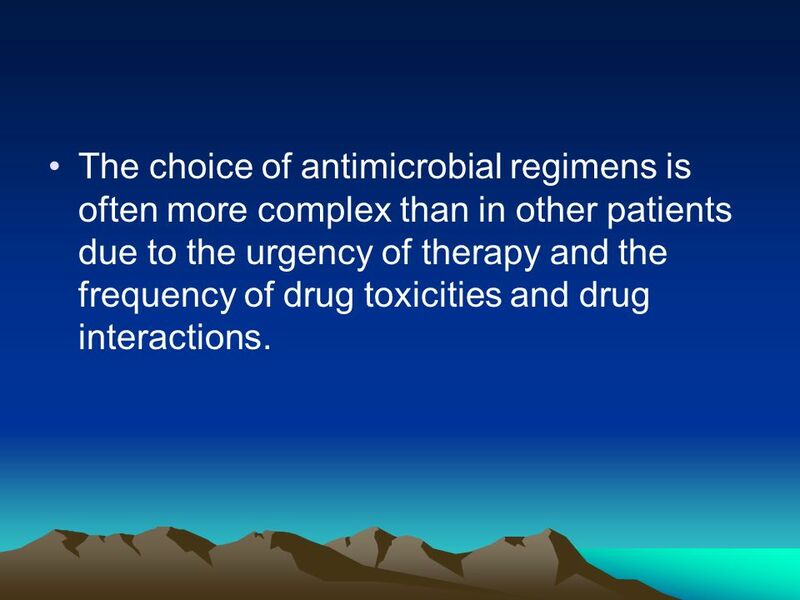 89 The choice of antimicrobial regimens is often more complex than in other patients due to the urgency of therapy and the frequency of drug toxicities and drug interactions. 90 Antimicrobial resistance is increased in immunocompromised hosts and should be considered in the choice of antimicrobial regimens. 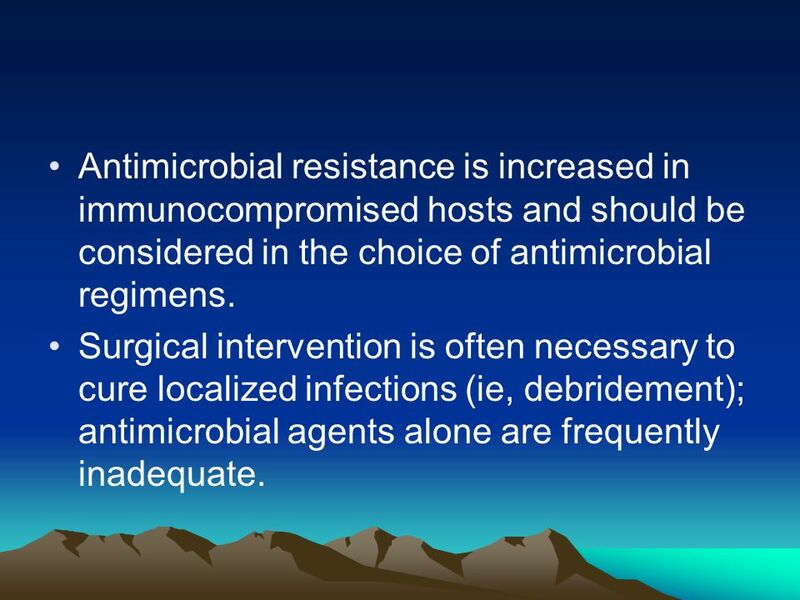 Surgical intervention is often necessary to cure localized infections (ie, debridement); antimicrobial agents alone are frequently inadequate. The risk of infection in the organ transplant patient is determined by a semi-quantitative relationship between two factors: the epidemiologic exposures of the individual and the "net state of immunosuppression" which is a measure of all of the factors which contribute to the individual's susceptibility (or resistance) to infection. 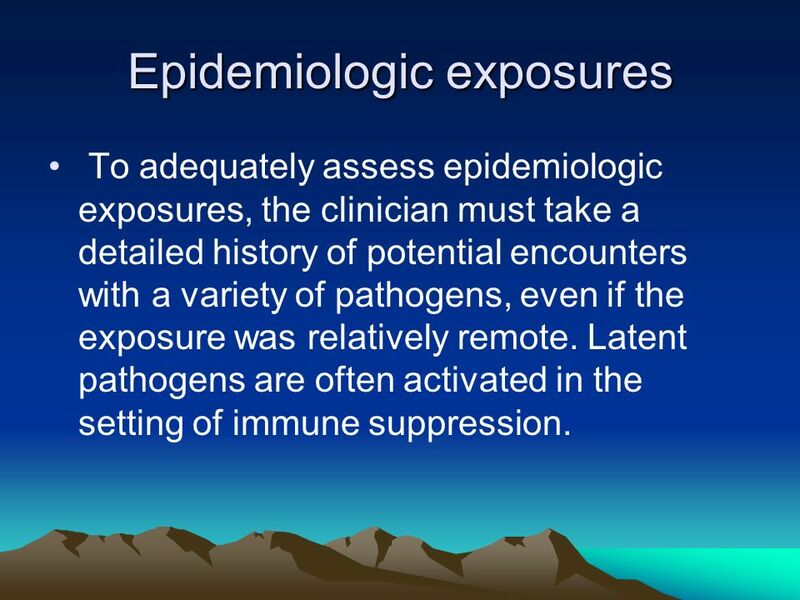 To adequately assess epidemiologic exposures, the clinician must take a detailed history of potential encounters with a variety of pathogens, even if the exposure was relatively remote. Latent pathogens are often activated in the setting of immune suppression. 93 The epidemiologic exposures of importance to an individual will vary based upon the nature of the immune deficits. Most transplant patients have multiple deficits. 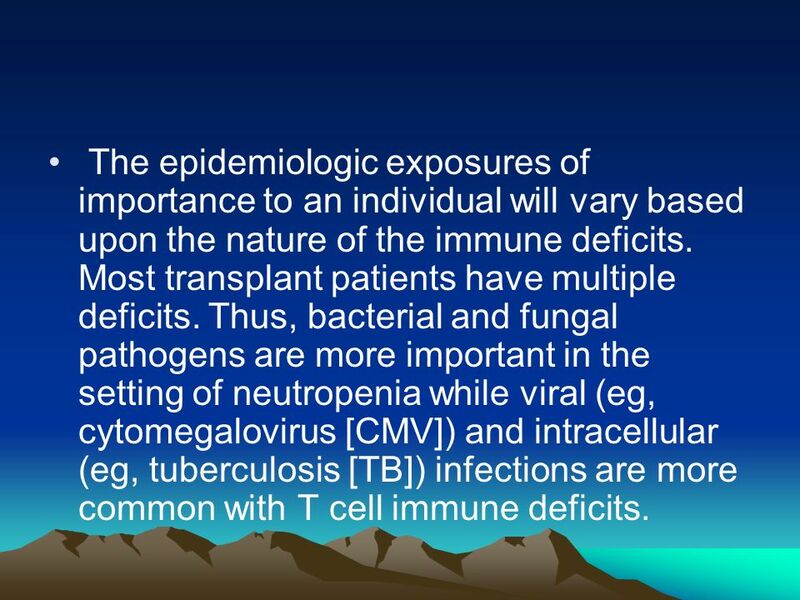 Thus, bacterial and fungal pathogens are more important in the setting of neutropenia while viral (eg, cytomegalovirus [CMV]) and intracellular (eg, tuberculosis [TB]) infections are more common with T cell immune deficits. 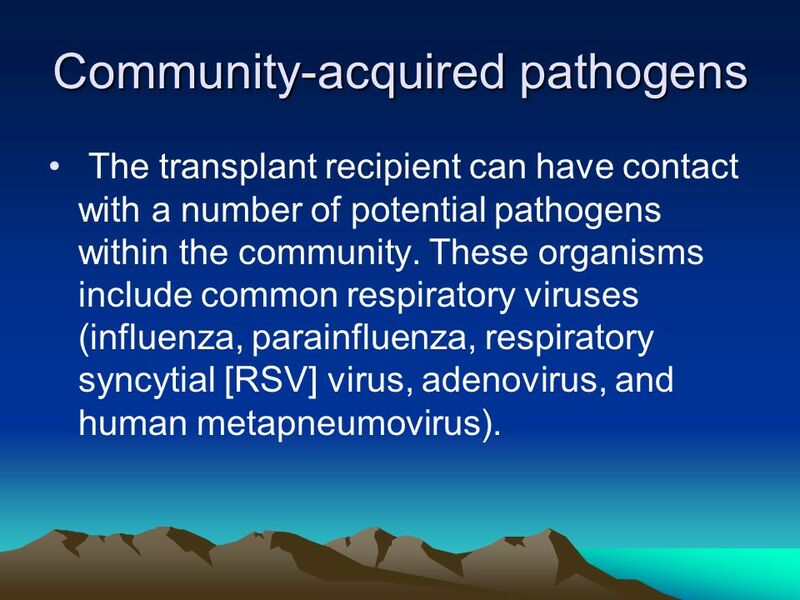 The transplant recipient can have contact with a number of potential pathogens within the community. These organisms include common respiratory viruses (influenza, parainfluenza, respiratory syncytial [RSV] virus, adenovirus, and human metapneumovirus). 95 In addition, common bacterial pathogens may include: Streptococcus pneumoniae, Mycoplasma, Legionella, Listeria monocytogenes and Salmonella. 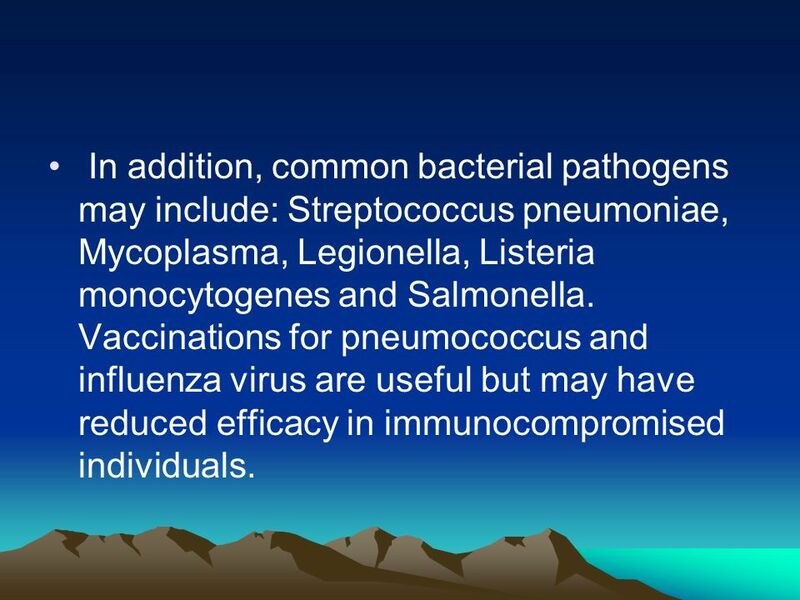 Vaccinations for pneumococcus and influenza virus are useful but may have reduced efficacy in immunocompromised individuals. 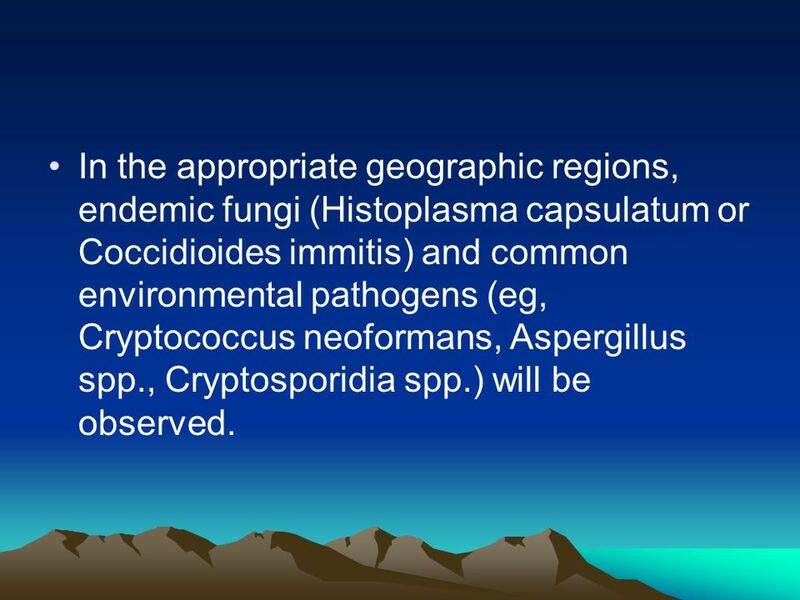 96 In the appropriate geographic regions, endemic fungi (Histoplasma capsulatum or Coccidioides immitis) and common environmental pathogens (eg, Cryptococcus neoformans, Aspergillus spp., Cryptosporidia spp.) will be observed. 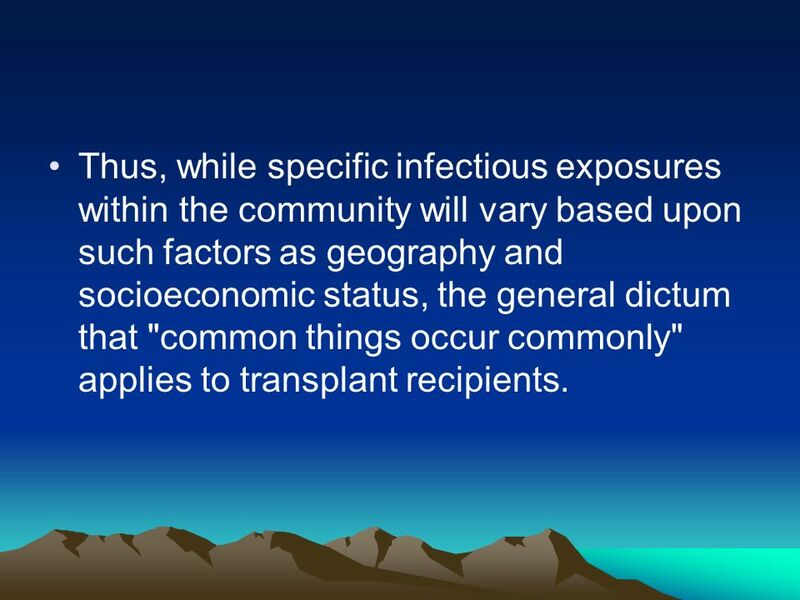 97 Thus, while specific infectious exposures within the community will vary based upon such factors as geography and socioeconomic status, the general dictum that "common things occur commonly" applies to transplant recipients. Reactivated infection may be derived from the organ donor or the recipient. Common viral infections that frequently reactivate following transplantation include herpes simplex virus (HSV), CMV, varicella zoster virus (VZV, shingles), hepatitis B (HBV), and hepatitis C (HCV), papillomavirus, and BK polyomavirus. 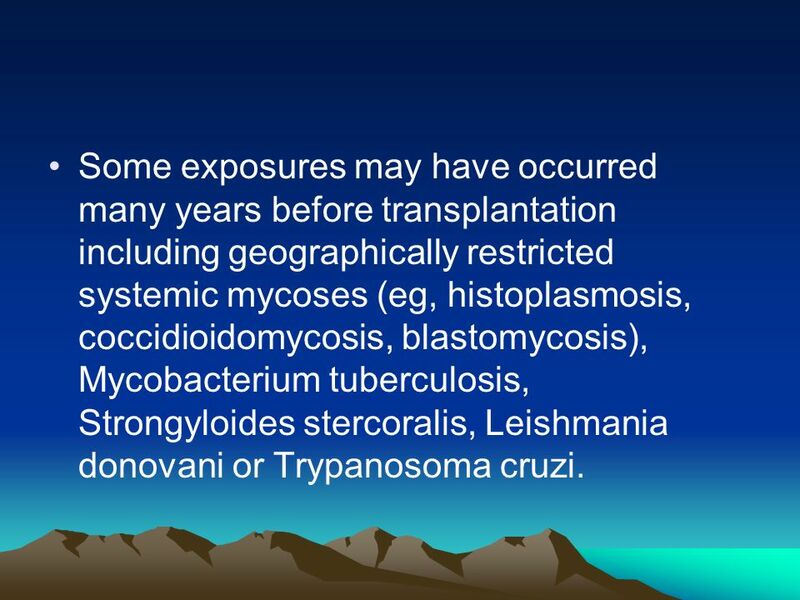 99 Some exposures may have occurred many years before transplantation including geographically restricted systemic mycoses (eg, histoplasmosis, coccidioidomycosis, blastomycosis), Mycobacterium tuberculosis, Strongyloides stercoralis, Leishmania donovani or Trypanosoma cruzi. 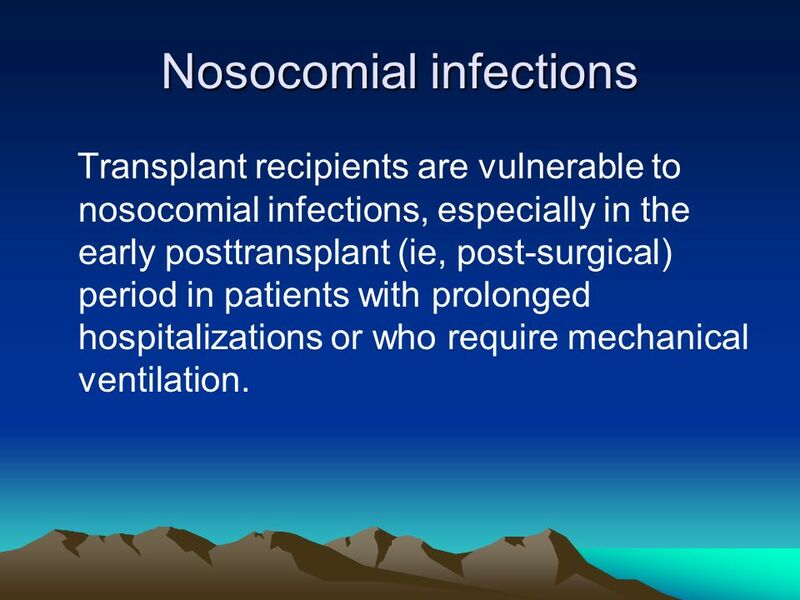 Transplant recipients are vulnerable to nosocomial infections, especially in the early posttransplant (ie, post-surgical) period in patients with prolonged hospitalizations or who require mechanical ventilation. 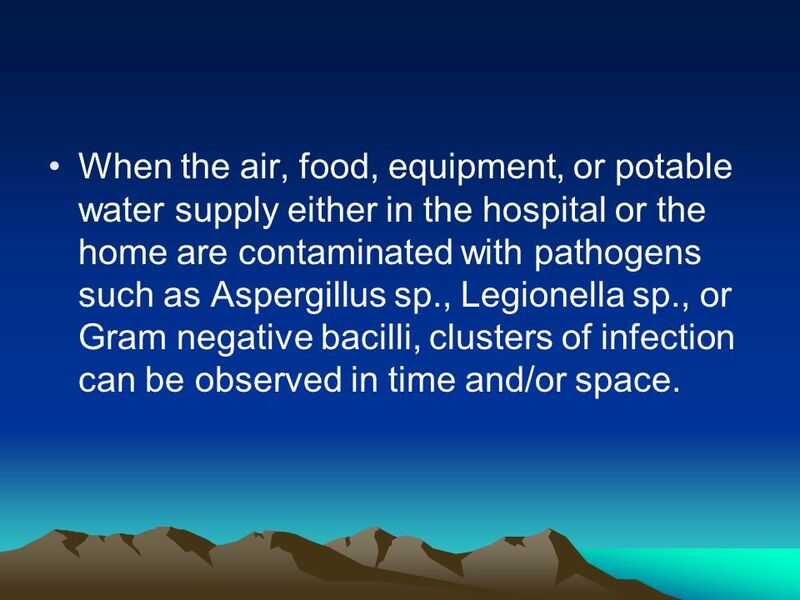 102 When the air, food, equipment, or potable water supply either in the hospital or the home are contaminated with pathogens such as Aspergillus sp., Legionella sp., or Gram negative bacilli, clusters of infection can be observed in time and/or space. Infections that are derived from donor organ tissues and activated in the recipient are among the most important exposures in transplantation. Some of these infections are latent, while others are the result of bad timing (unappreciated active infection in the donor at the time of transplantation). 104 Organ donors are screened to avoid transmission of certain infections to transplant recipients (show table 1). 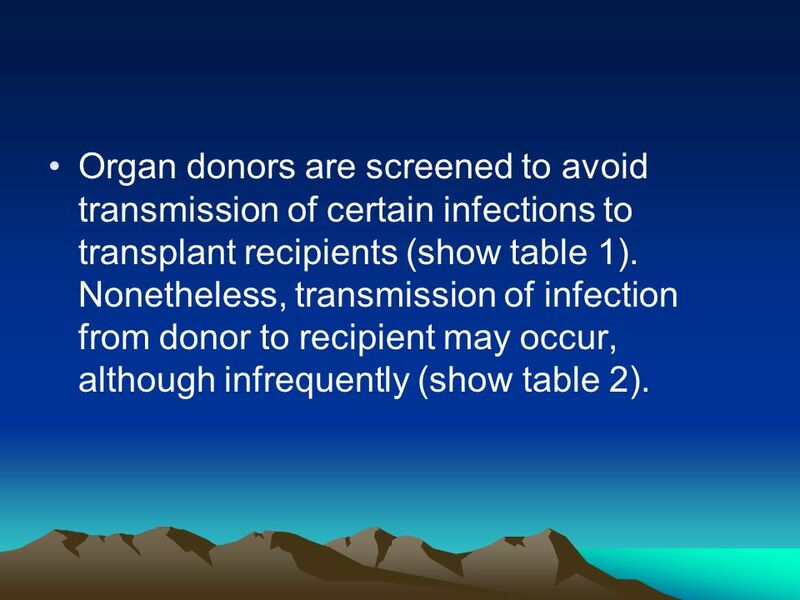 Nonetheless, transmission of infection from donor to recipient may occur, although infrequently (show table 2). 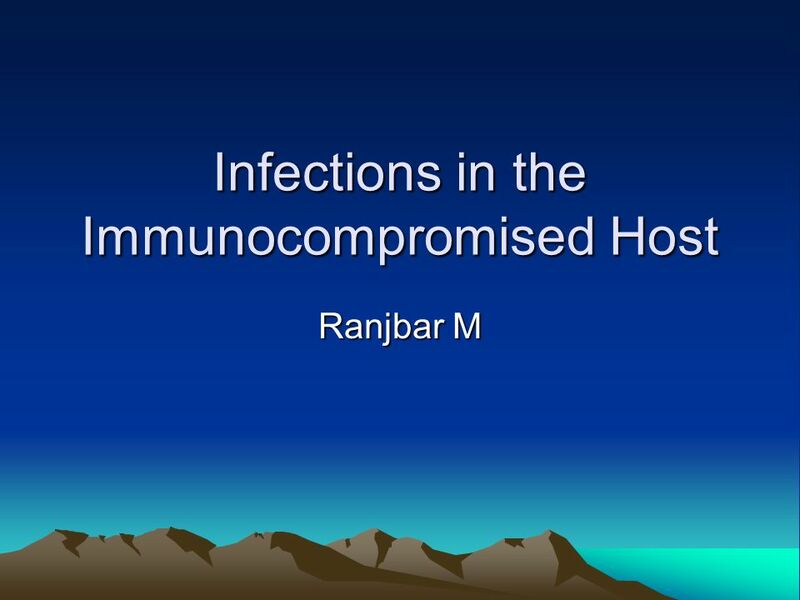 Download ppt "Infections in the Immunocompromised Host"
Complications related to Treatment of Leukemia Fever and Neutropenia Aziza Shad, MD Lombardi Cancer Center Georgetown University Hospital Washington DC. Primary deficiencies of the complement system Radana Zachová Institute of Immunology Faculty hospital Prague, Motol. Risk of invasive H. influenzae disease in patients with chronic renal failure: a call for vaccination? M. Ulanova, S. Gravelle, N. Hawdon, S. Malik, D.
Community Acquired Pneumonia Guidelines 2011 Top 11 Recommendations Michael H. Kim. Infections In The Immunocompromized Host Components of Host Defenses: Mechanical barriers Skin, mucous membranes, epiglottis, cilia. Granulocytes Cell. Immunodeficiency Paula O’Leary CP4004 Lecture Nov 2010. CHAPTER 7 PRINCIPLES OF DISEASE © Andy Crump / Science Photo Library. Pneumococcal Disease and Pneumococcal Vaccines Epidemiology and Prevention of Vaccine- Preventable Diseases National Immunization Program Centers for Disease. Streptococcus pneumoniae Chapter 23. Streptococcus pneumoniae S. pneumoniae was isolated independently by Pasteur and Steinberg more than 100 years ago. Immune Deficiency Syndromes in the Appalachia Presented by: Demetrio R. Macariola, M.D. FAAP THINK BEYOND THE BUGS. Immune deficiency Diseases (2). Immune Deficiency Disorders Immunodeficiencies can be divided into primary immunodeficiency disorders, and secondary immunodeficiency. Primary Immunodeficiency Diseases Primary Immunodeficiency Diseases The primary immunodeficiency diseases are a group of disorders in which the primary. Andriy Lepyavko, MD, PhD Department of Internal Medicine № 2.